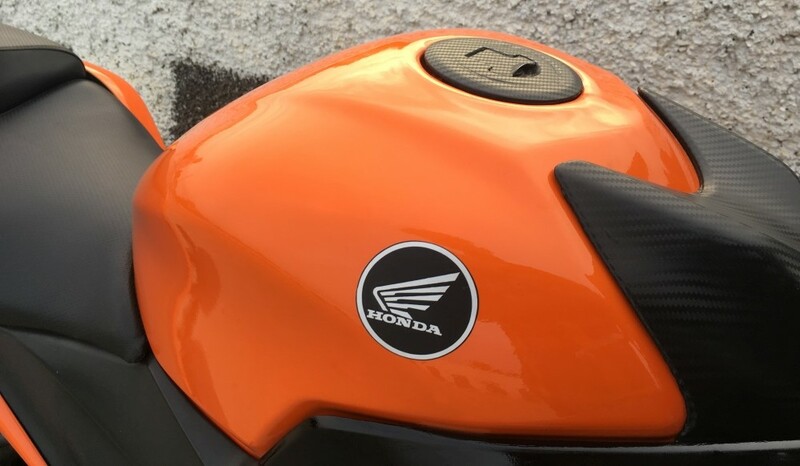 The post Meet Mind-Blowing Honda CBR150R Gloss Orange Edition appeared first on Maxabout News. 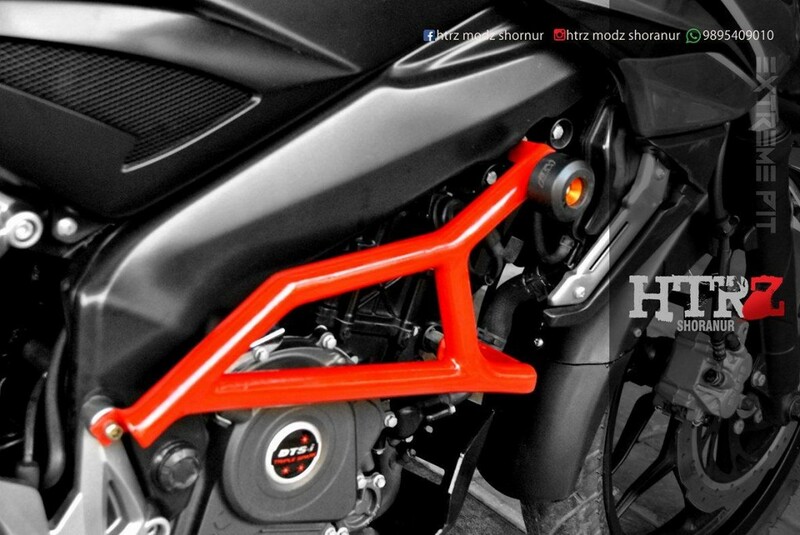 Honda CBR150R Gloss Orange Edition is more than what meets the eye at the first glimpse. This perfectly modified model by ‘Stealth Wraps’ comes with premium paint on the body panels, leaving all the side effects of the wrap-game behind with no bubbles on the surface and a unique gloss effect that comes through the 2K spray paint. 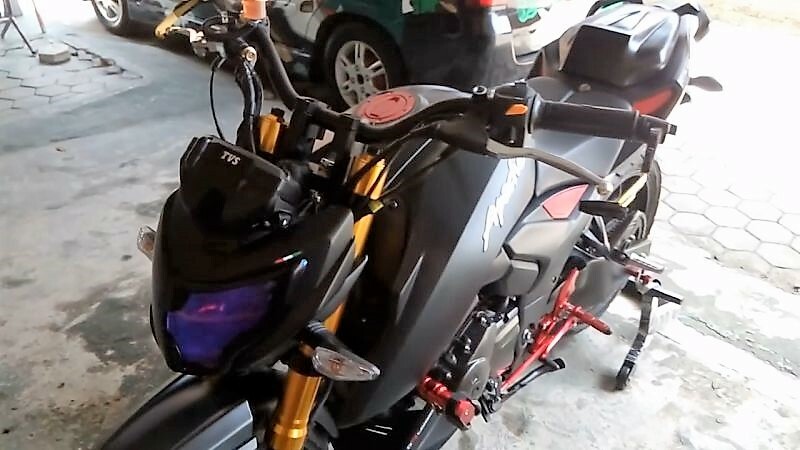 The closest shot of the fuel tank shows how neat the white Honda moniker looks inside the premium black circular housing, further complemented by the carbon fiber finish on the fuel filler section and the handlebar area. 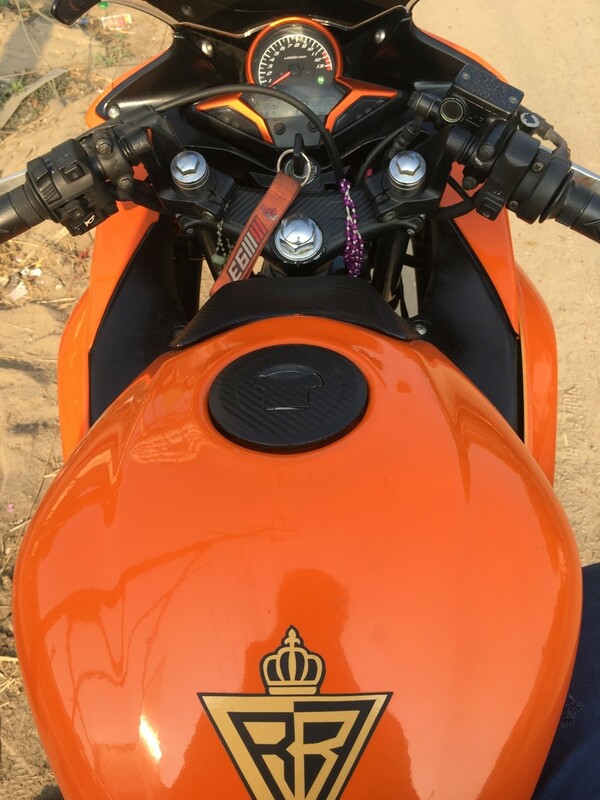 The highlights of the model are seen in the form of orange inserts in the console, looking beautiful from the rider’s point of view. 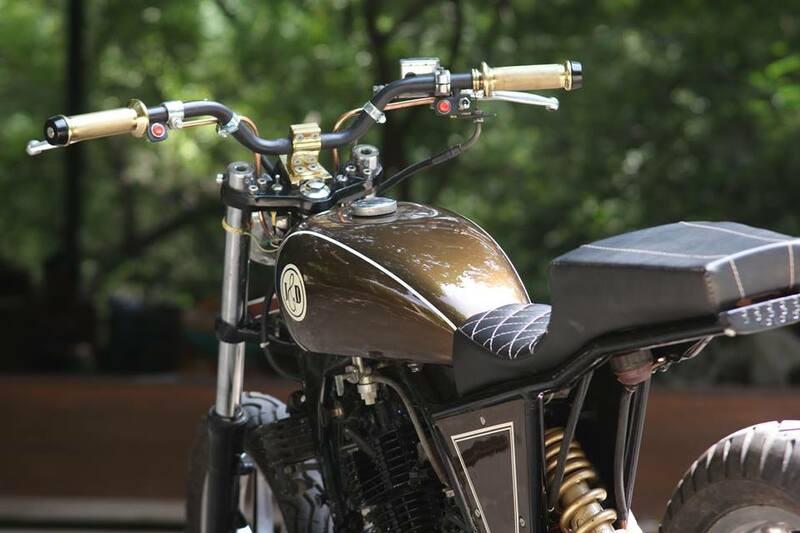 The front forks are finished in the golden shade while the headlight now features a projector light with dark tinting on the surface for an attitude-filled feel. 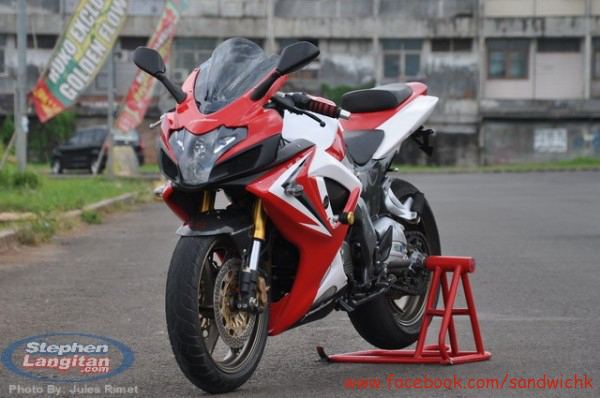 The CBR150R is powered by a 149cc engine, producing 18.28 HP and 12.66 Nm of torque. The engine is mated to a 6-speed gearbox. 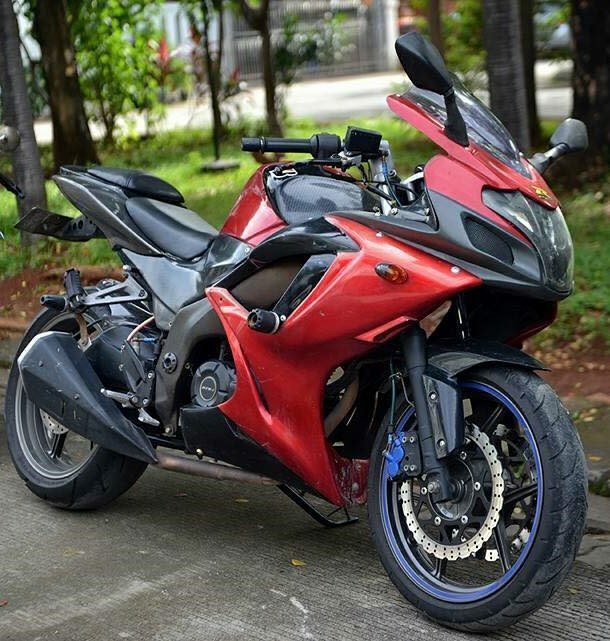 Before the arrival of Yamaha R15 V3, it was the most powerful 150cc bike of India. 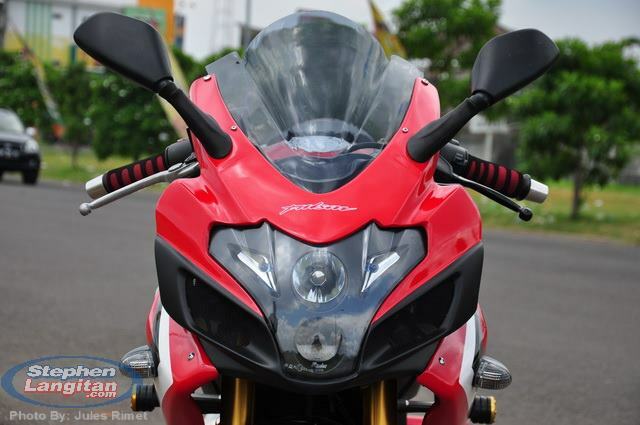 The motorcycle was last available with Sports Red, Blue and Palm Green shade in India for INR 1.24 lakh (ex-showroom). 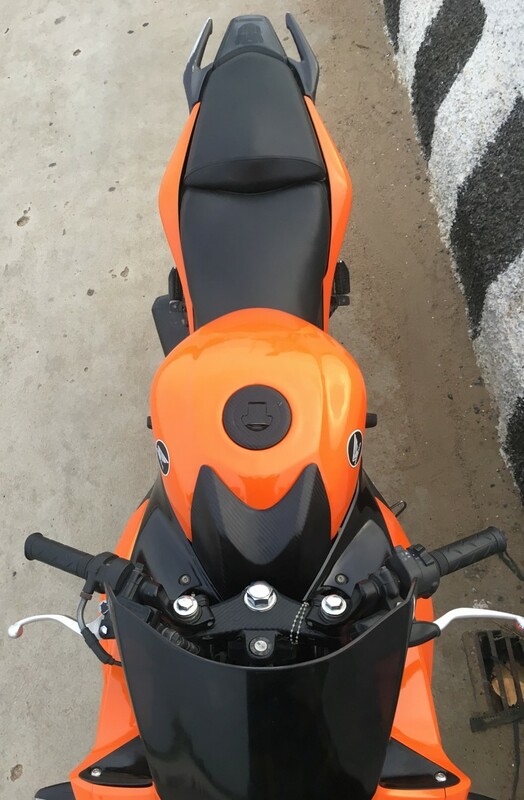 The instrument console is shared with the CBR250R in India. 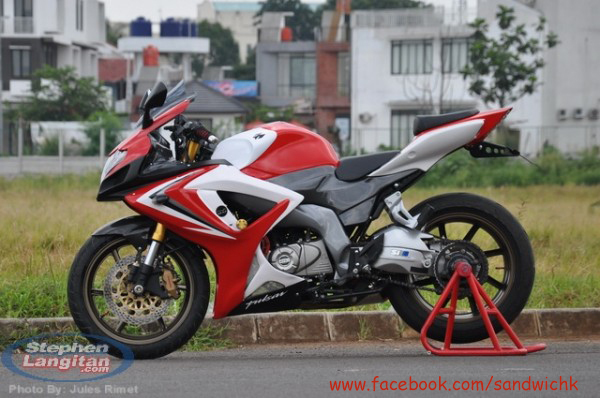 As of now, Honda has no plans to launch the new model of CBR150R in India. 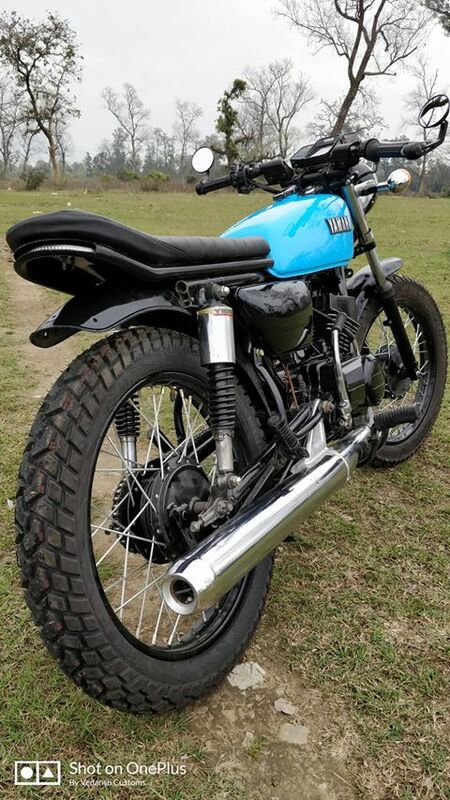 The post Meet Yamaha RX 135 Cafe Racer by Vedansh Automobile (Dehradun) appeared first on Maxabout News. 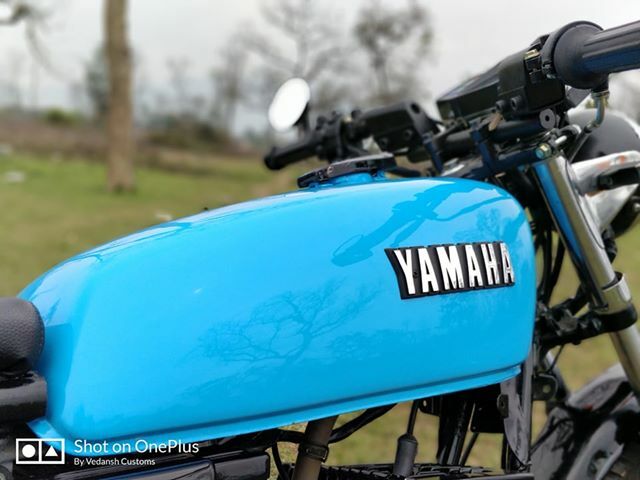 Yamaha RX 135 was recently modified into a cafe racer by Vedansh Automobile, turning the vintage beauty into a blue themed machine with a ribbed long seat and beautiful fuel tank paint. 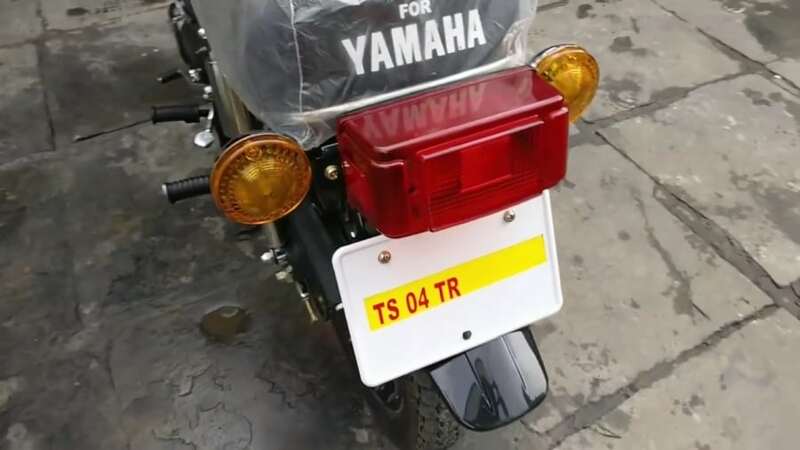 The side of the fuel tank and battery panel is available with a contrasting feel, flaunting gloss black finish on the lower panel and Yamaha moniker on the fuel tank. The stock tires have been replaced with thick tread tires, wrapped over black/chrome finished spoke wheels and conventional forks. The handlebar is front-biased, resulting in an aggressive riding position. The fuel tank lid, available in chrome on the stock bike, now carries the dark theme. 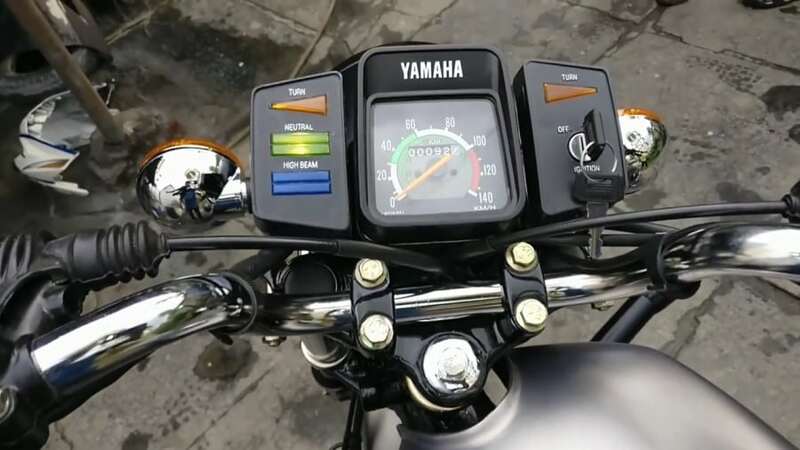 Vedansh Automobile has used the stock instrument console and headlight with the bike while the engine area is now completely finished in the Black shade. The use of bar end mirrors further guarantee enhanced styling and practicality. The exhaust is completely chrome, with black only visible on the starting part of the pipe. 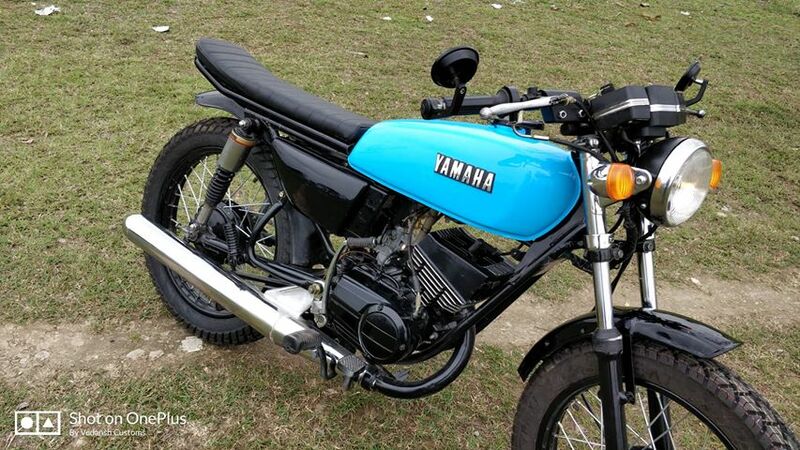 Yamaha RX 135 is powered by a 132cc, single cylinder engine, producing 14 BHP of maximum power and 12.25 Nm of torque. The engine comes mated to a 5-speed gearbox. 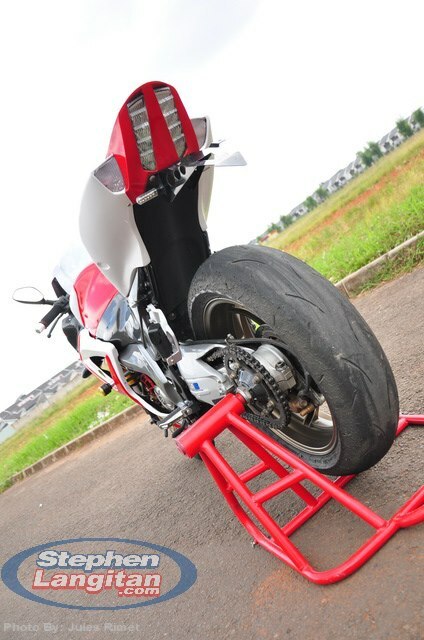 The wet weight for the stock bike is 116 kg while top speed claimed for the 2-stroke machine is 110 kph. 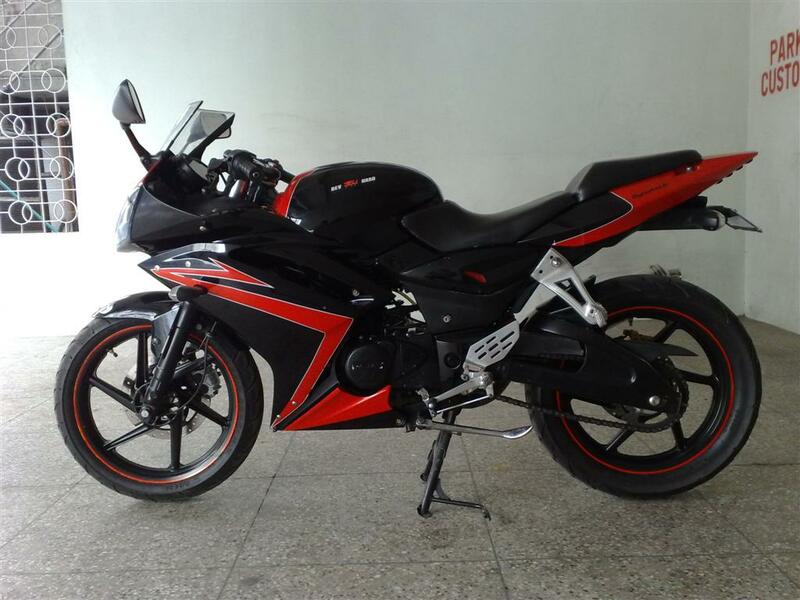 Click Here to know more about the Yamaha RX 135. 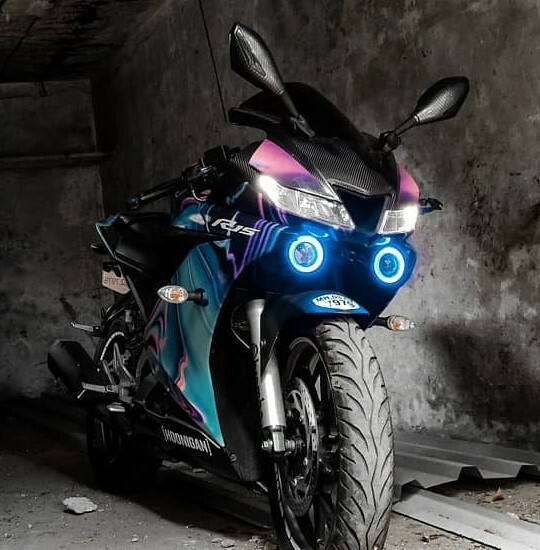 The post Meet Modified Yamaha R15 V3 with Cool Graphics & Projector Lights appeared first on Maxabout News. 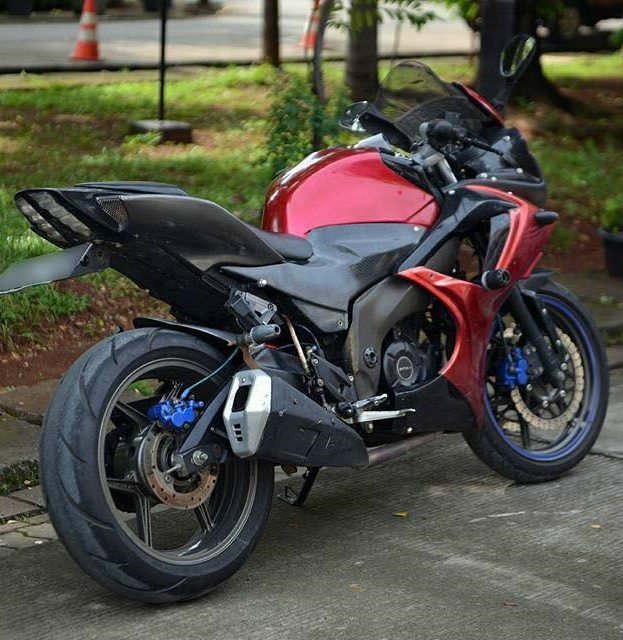 Yamaha R15 V3 is an impressive machine and modifications help it feel even more exclusive than the rest of the sports bikes. 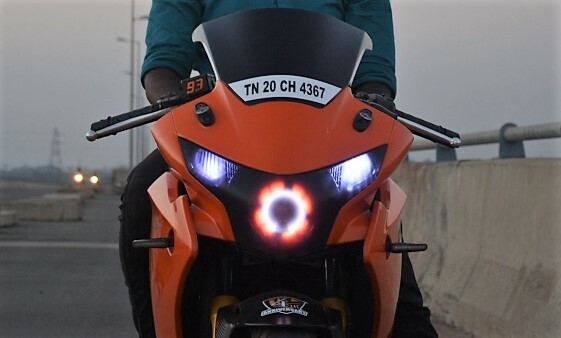 Shubham Ugale from Mumbai recently fitted his motorcycle with an extra pair of projector headlights under the LED setup, replicating the setup seen on the R1 and R6 to some extent. 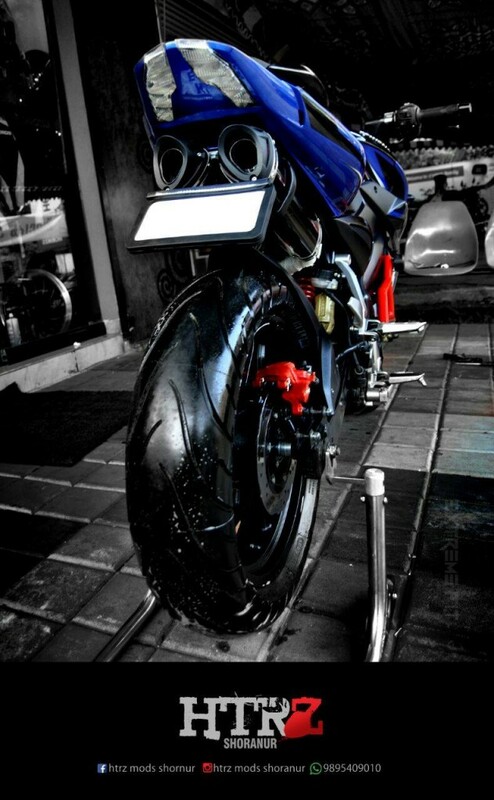 The four lights at the front make this modified Yamaha R15 a great machine to ride in pitch dark conditions. 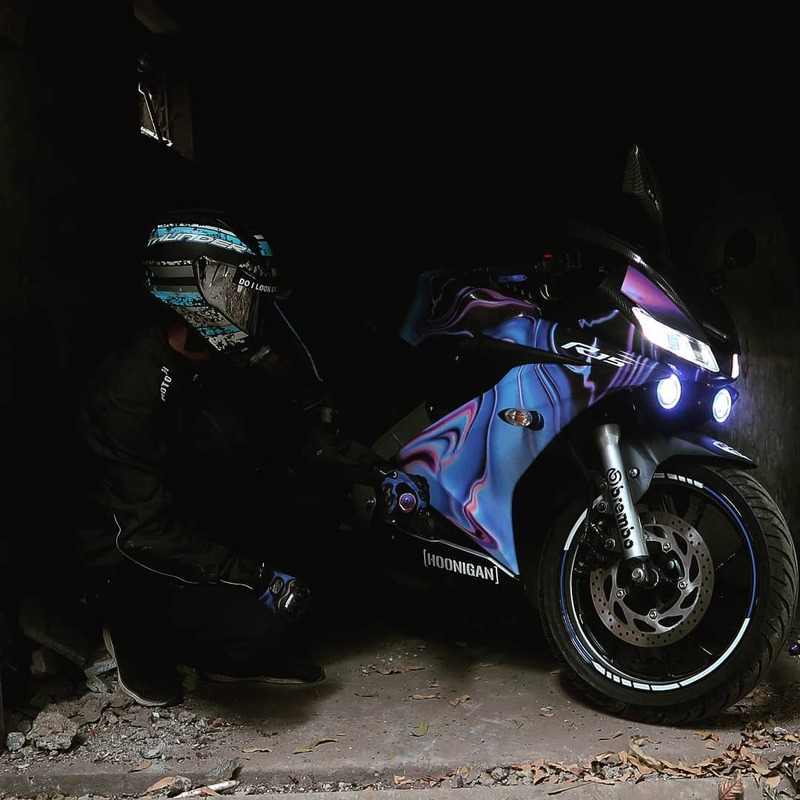 The bike you see here is Mumbai’s first R15 V3 with a custom wrap. 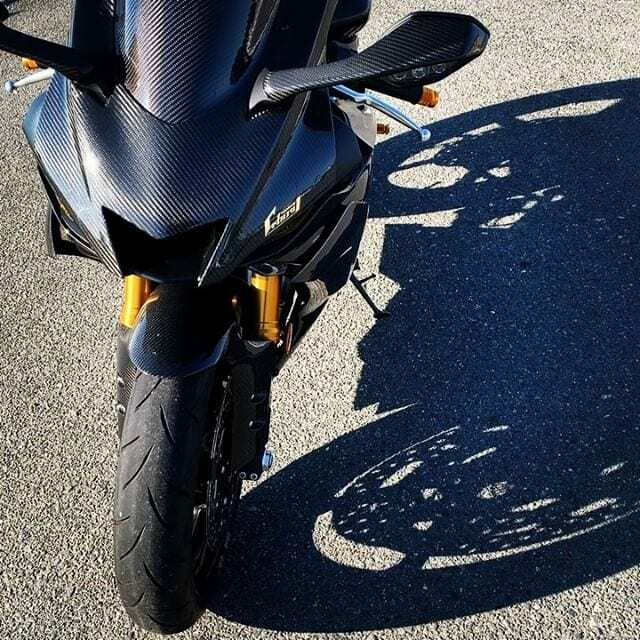 Apart from the addition of lights, this particular R15 V3 comes with cool graphics on the front and side fairing, looking even better with the black contrasting film on the stock R15 visor. 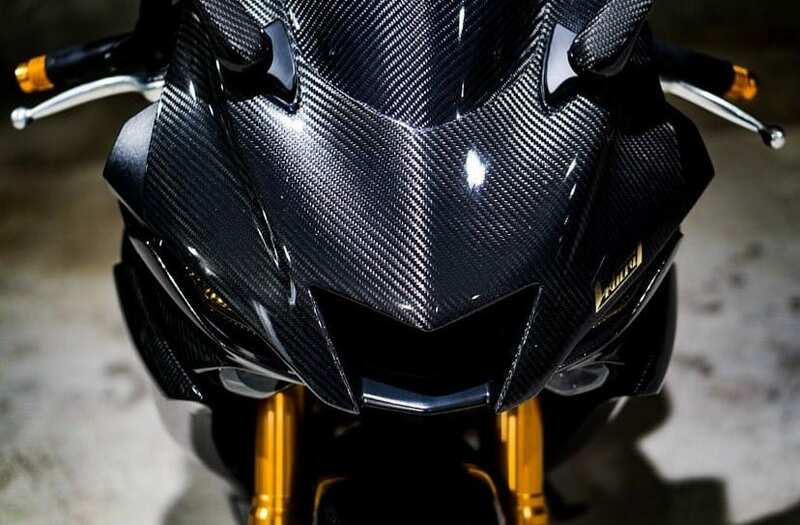 The impressive flowing effect of the wrap further improves the overall looks of this modified Yamaha R15 V3. 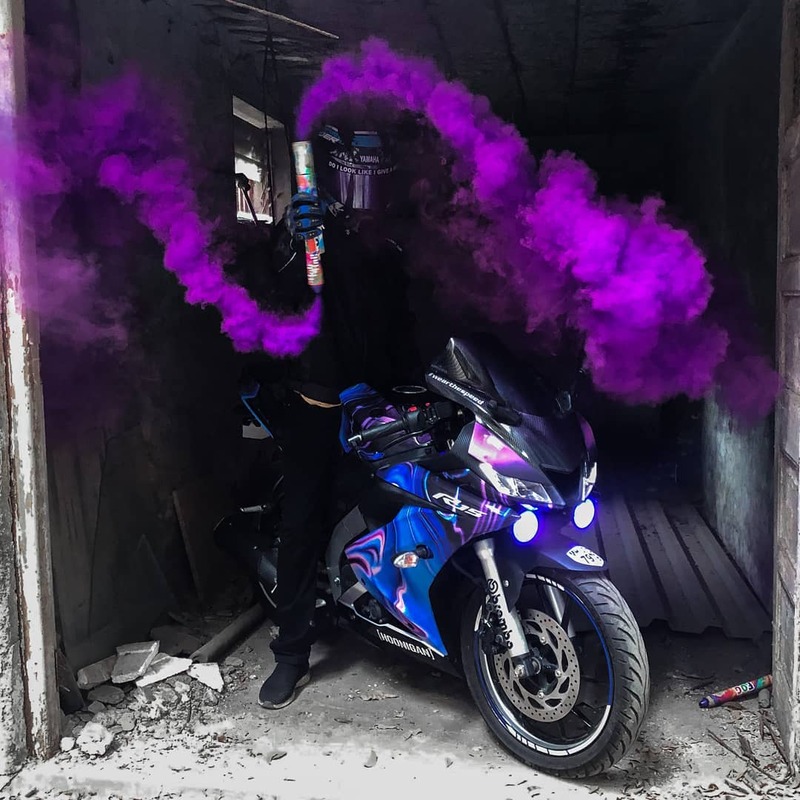 Not just that, the smoke effect created within the photos looks awesome. 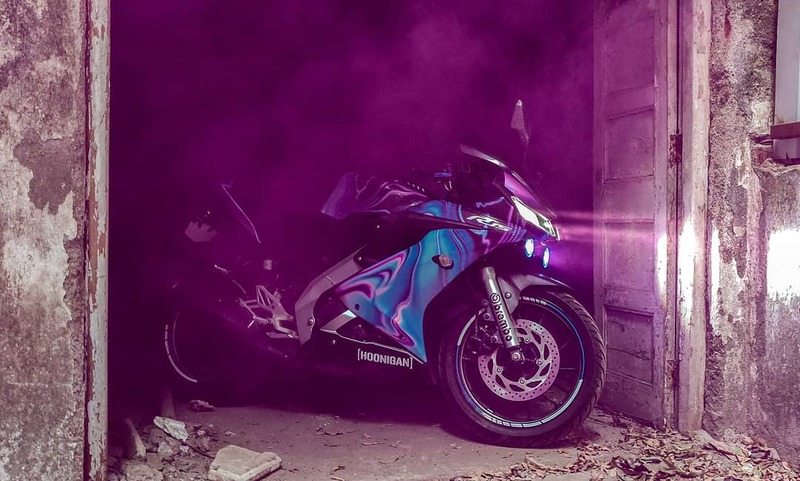 The owner is a wrap artist, freelancing on demand for both car and bike wraps. 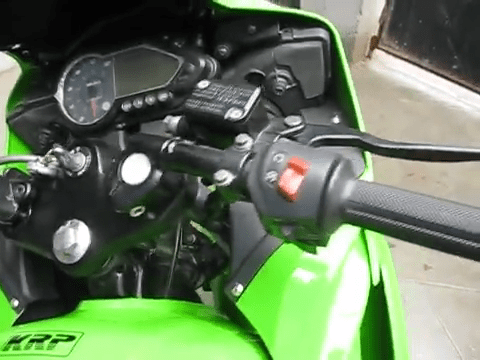 Apart from these electrical changes, no performance addition has been made to the bike. 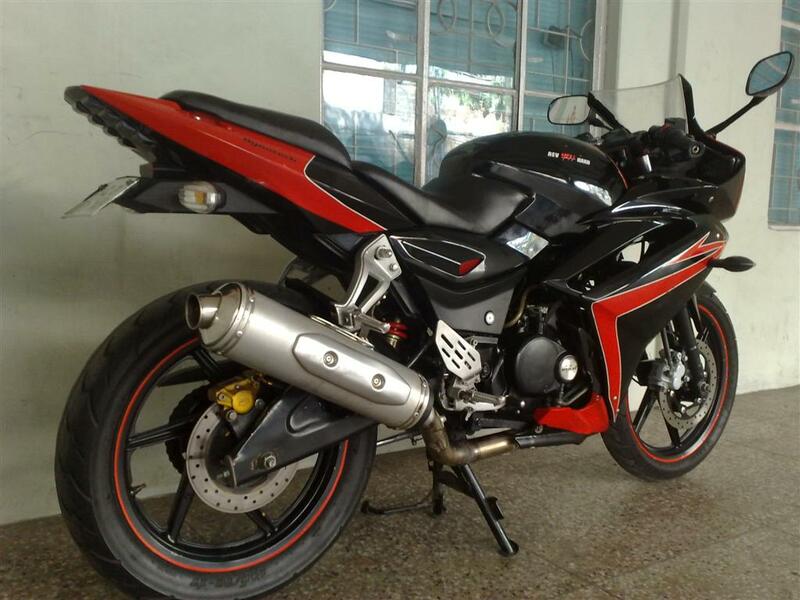 Yamaha R15 V3 is powered by 155.1cc, single cylinder engine, producing 19.3 HP of power and 14.7 Nm of torque. 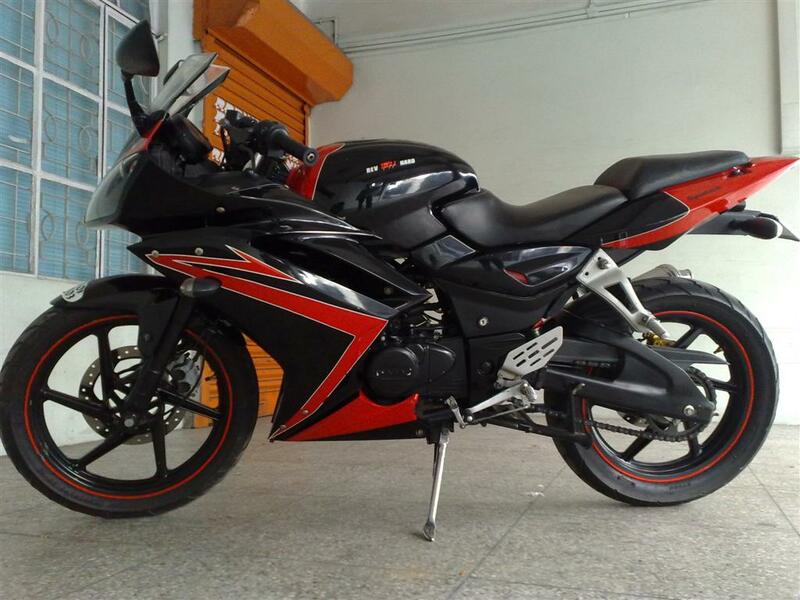 At present, the stock model of R15 V3 is available for INR 1.39 lakh (ex-showroom India). 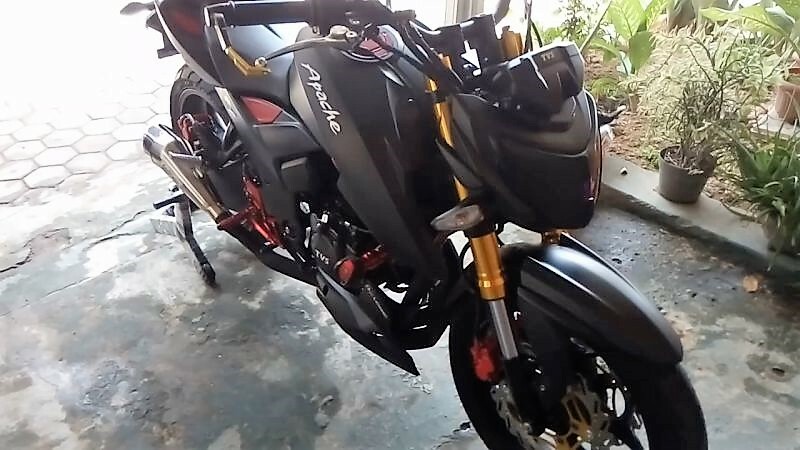 The post Meet Bajaj Pulsar NS200 Adventure Edition by Autologue Design appeared first on Maxabout News. 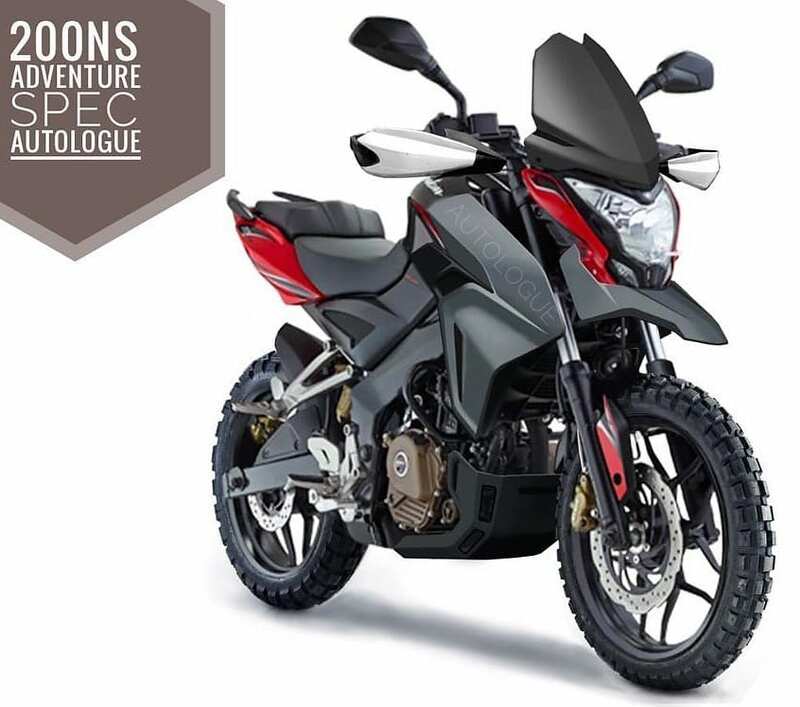 Autologue Design brings a practical yet head-turning Bajaj Pulsar NS200 Adventure for those who love their existing motorcycle but wish to get more out of the same through part swapping and added accessories. 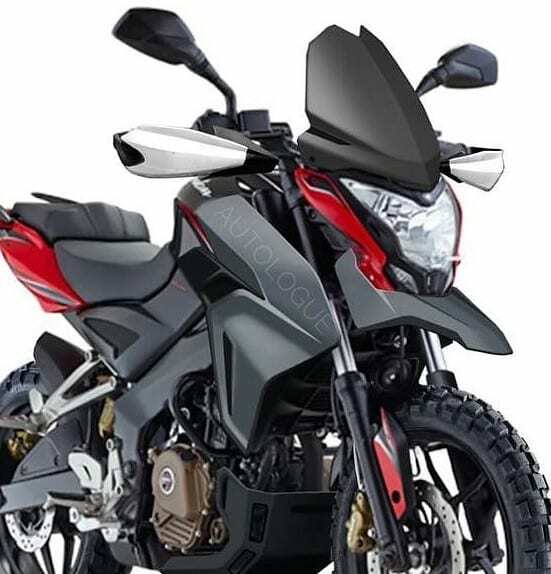 Pulsar NS200 Adventure comes with a tall windscreen that is shown in matt black finish here. The same can be had with different levels of transparency. 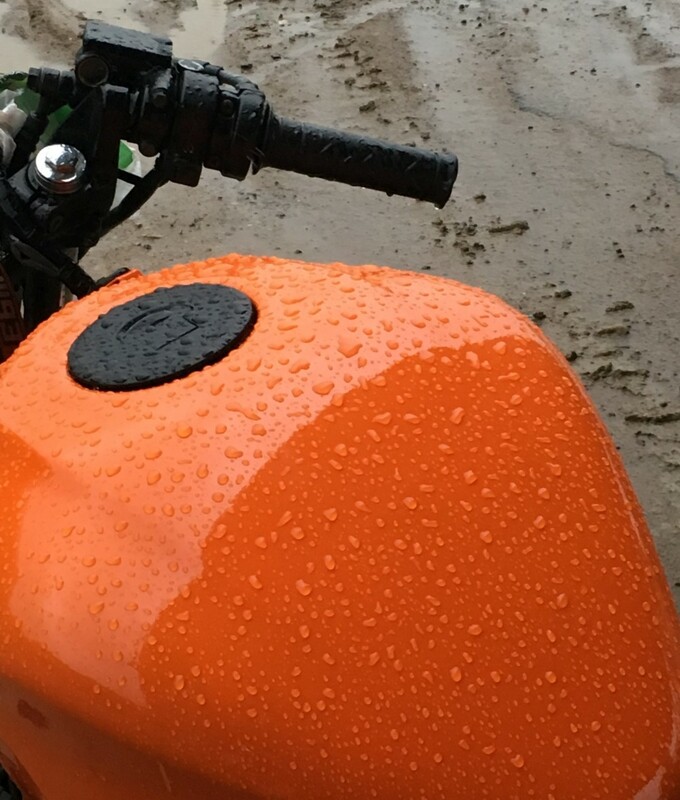 The lower-placed fender on the regular motorcycle makes way for this high-mounted beak like the majority of adventure bikes. The tires seen on the NS200 Adventure carry thick treads and thus, can be useful when riding in conditions like the mud, gravel, and sand. 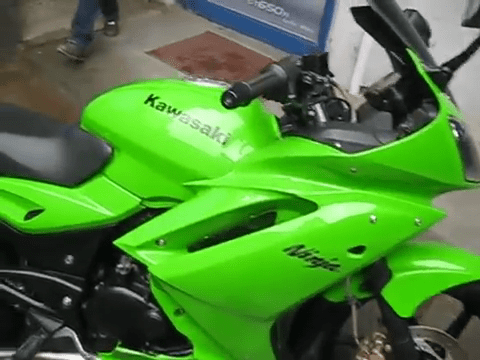 The rear fender goes missing from the motorcycle and biggest visible change is seen near the fuel tank section. 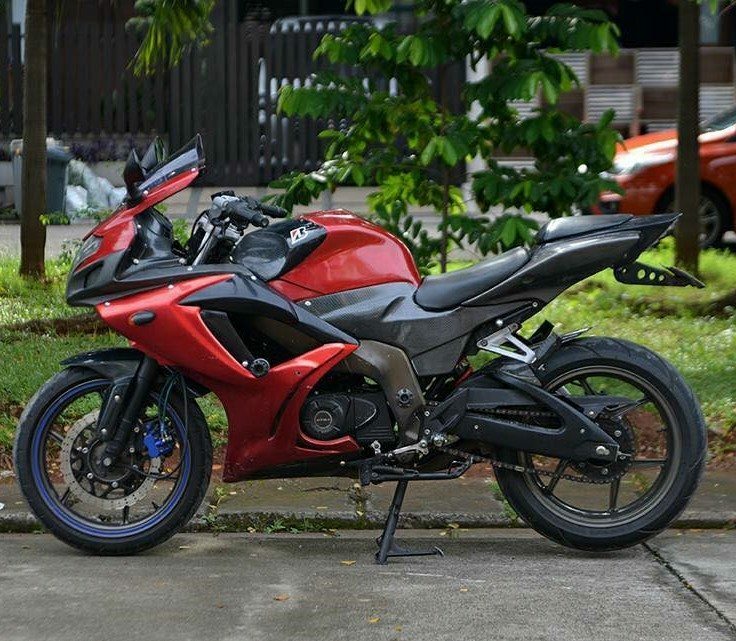 The extended tank shrouds of the Pulsar NS200 have been replaced with the custom extended fairing that protects the rider from the harsh winds that arrive when riding on the highway at high speeds. The engine section is protected by a bash plate on the NS200. The last addition to the model is the knuckle protectors with dual tone finish. 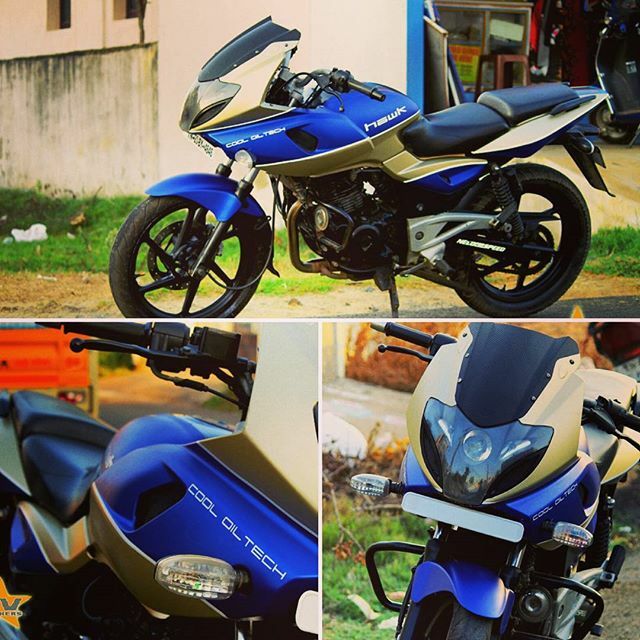 The Bajaj Pulsar NS200 uses the same 199.5cc engine as RS200 and now discontinued, AS200. 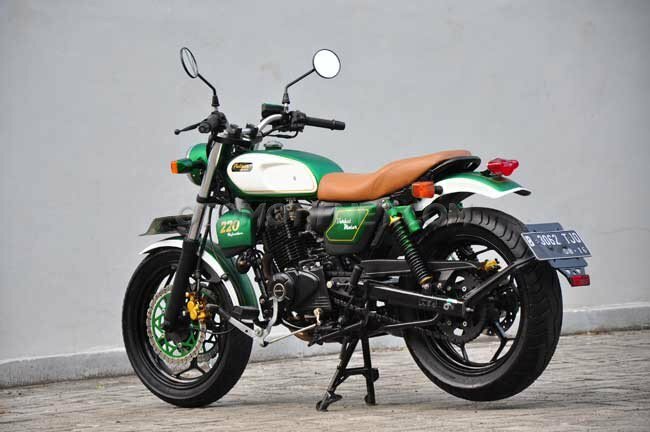 The elements added here raises the practicality quotient of the motorcycle and thus, spending a decent amount on these additions is better than spending a huge sum on a totally new adventure bike for your occasional rides. The stock version of NS200 is available in four shades and can be had with 1-channel ABS for INR 1.12 lakh (ex-showroom). 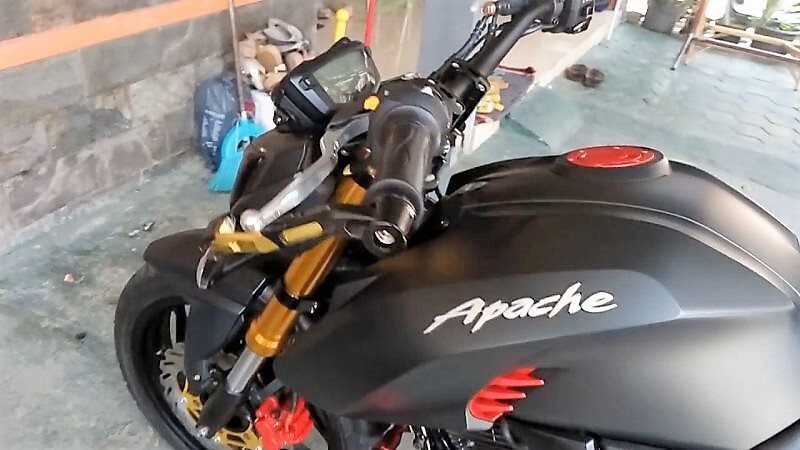 The post Meet TVS Draken-Inspired Apache RTR 200 Premium Street Version appeared first on Maxabout News. 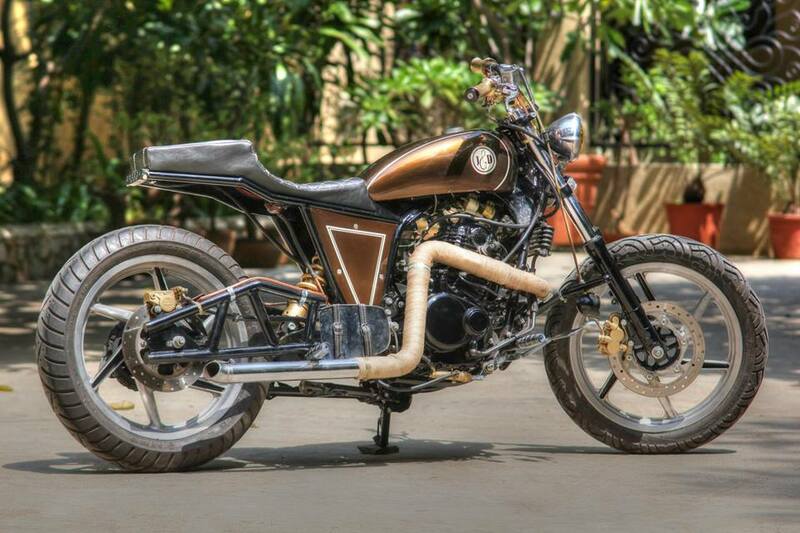 The post Modified Bajaj Pulsar 220F: Mega Photo Gallery of Best-Ever Modifications appeared first on Maxabout News. 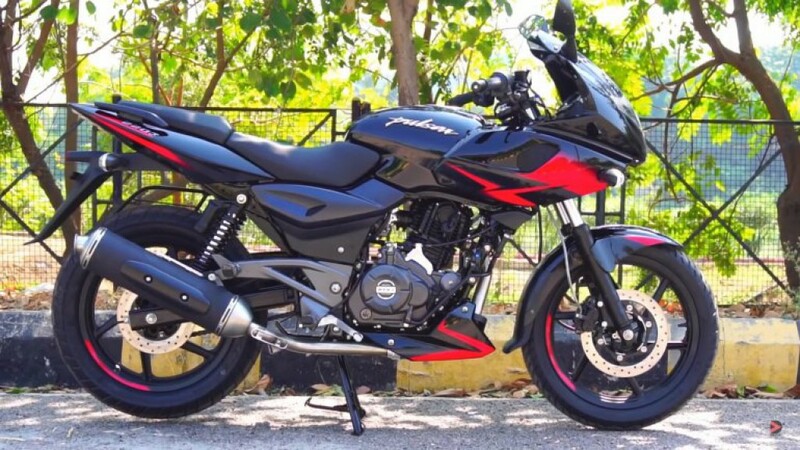 Modified Bajaj Pulsar 220F (Mega Photo Gallery): Bajaj Pulsar has been a symbol of power since its first day of launch in India. 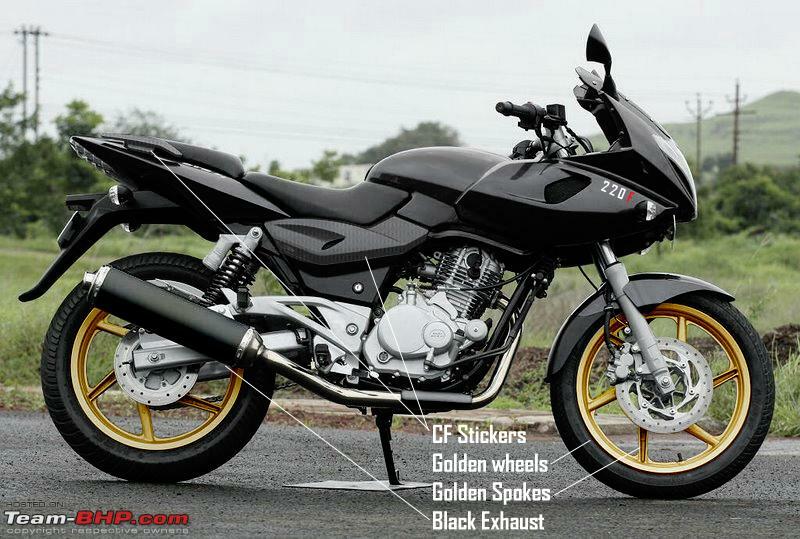 Extending its lineup further, Bajaj now has eight variants in its Pulsar range in India. Pulsar 220F has been a favourite among performance lovers as it comes with a blast of performance every time the throttle is revved. Even there are other high-performance Pulsars like RS200 and NS200 in the battleground, 220F has a fan following of its own. 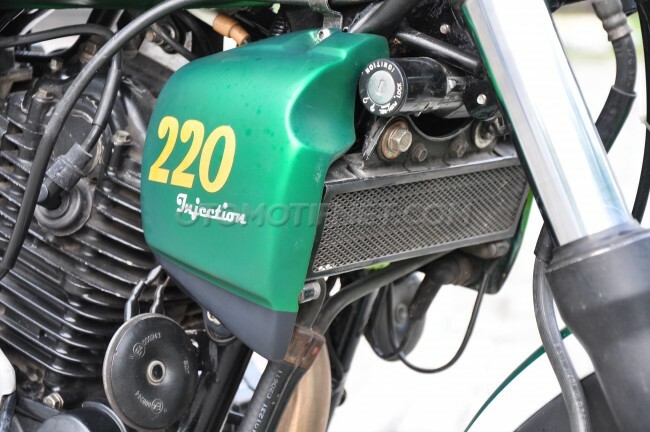 The 220cc, 4-stroke engine is good for 20.9 HP @ 8500 rpm and 18.55 Nm @ 7000 rpm. It comes mated to a conventional 5-speed gearbox and uses 260mm front as well as a 230mm rear disc brake. 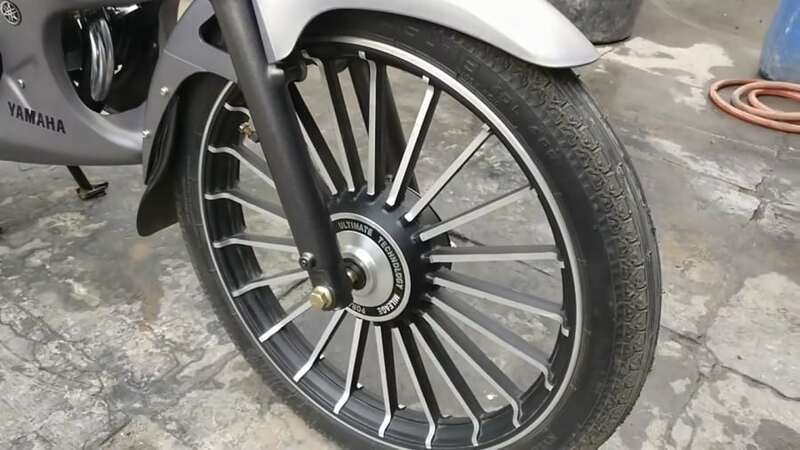 The front brake offers ABS for additional braking safety on the motorcycle. 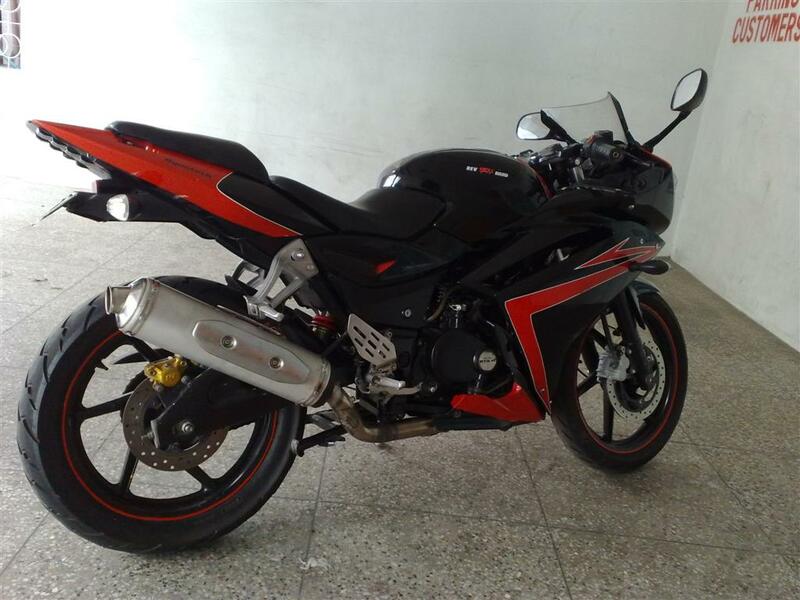 220F weighs 155 kg and retails for INR 1.05 lakh (ex-showroom Delhi). The model without ABS can be had for INR 98,700 for a limited period of time. 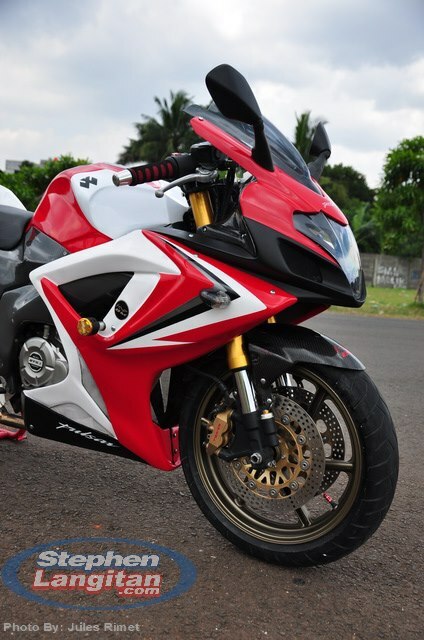 Finished in Red, White and Black shades, the Pulsar 220F can visually even beat the current generation CBR650F. 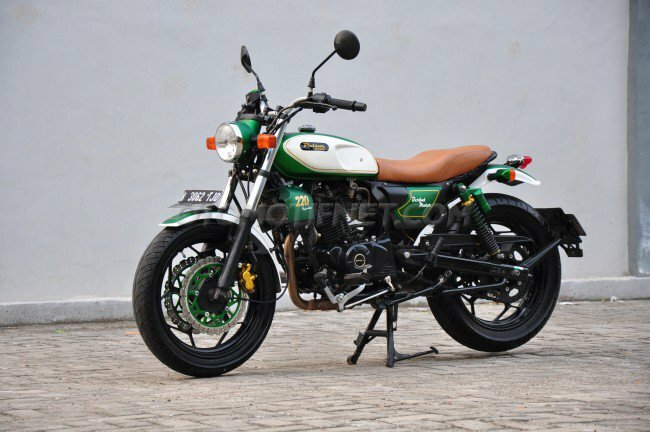 The components have been replaced with premium units while the tyres are really wide for a 220cc motor. 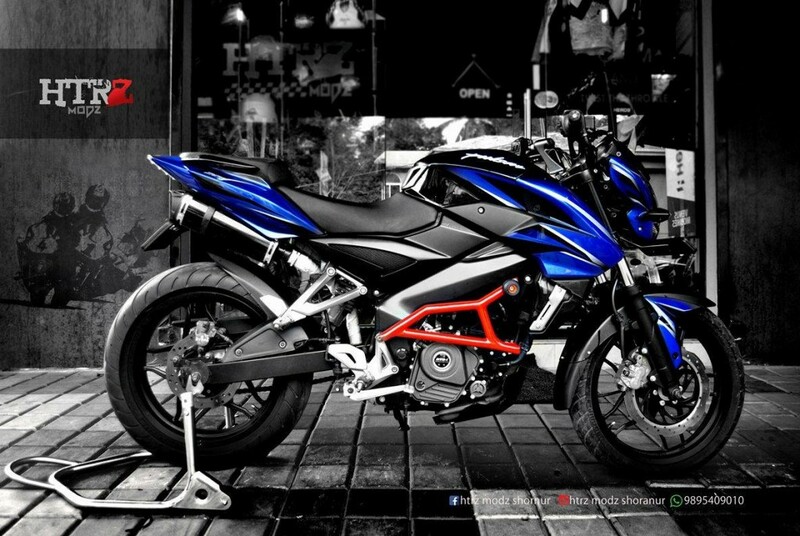 Fully faired, aerodynamic design along with its carbon fibre parts finish, makes it the best-looking custom Pulsar 220F of all time. 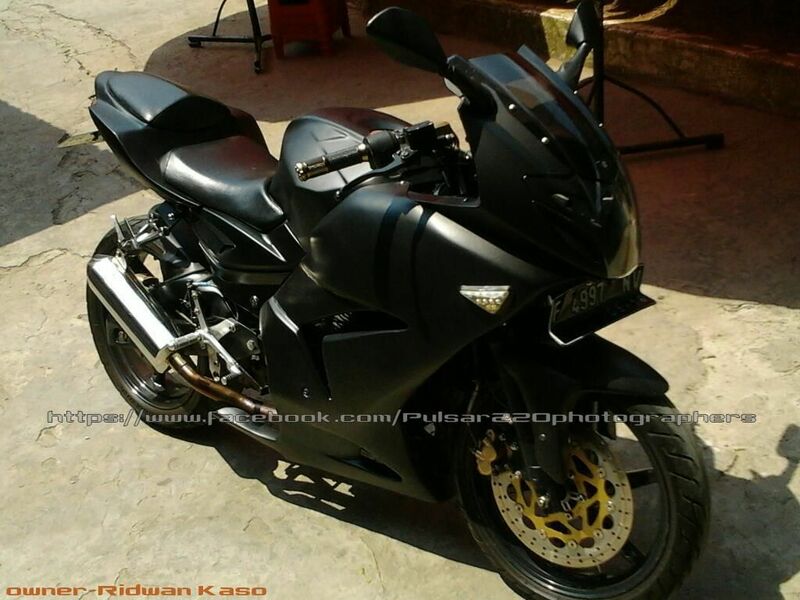 This typical Matt Black Pulsar 220F looks like it belongs to some secret service agency from Hollywood movies. The neatly finished body remains graphic-less while its rear end flaunts a huge tyre and good looking short, chrome finished exhaust. It uses a large front disc brake and extended body panels for a bigger looking tail. 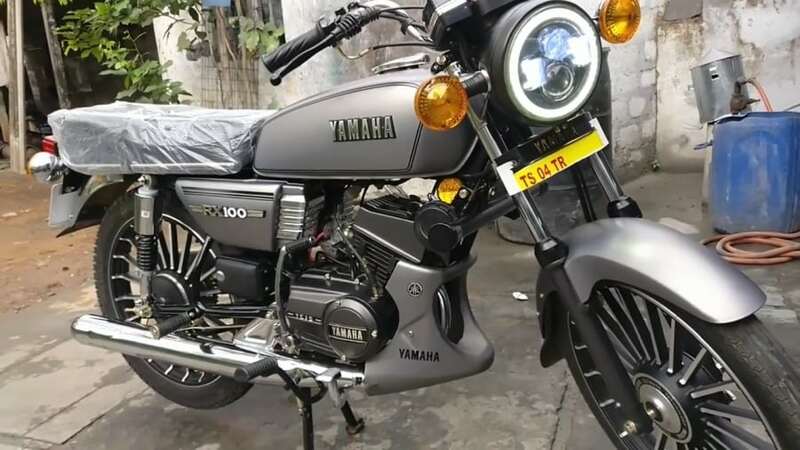 If no one tells you that the frame, engine, suspension, front and rear tyre, along with the handlebar are from Pulsar 220F, it won’t be wrong to believe that it is a restored Yamaha classic motorcycle. 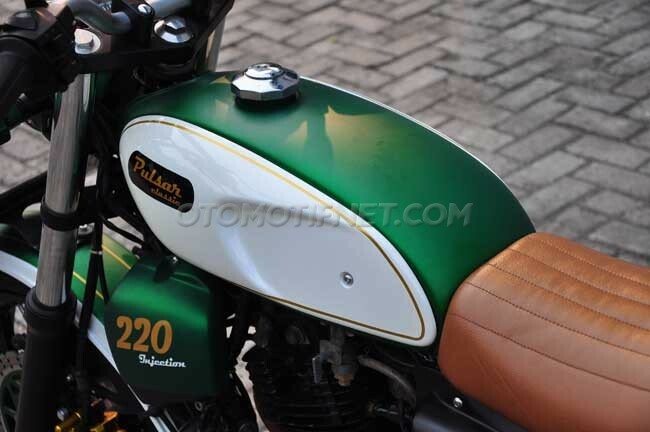 Using a simple analogue speedometer unit, old fashioned indicators, green-themed body and conventional front round headlight, this 220F carries the most unique body design on a Pulsar. This example has different reactions of people from different angles. 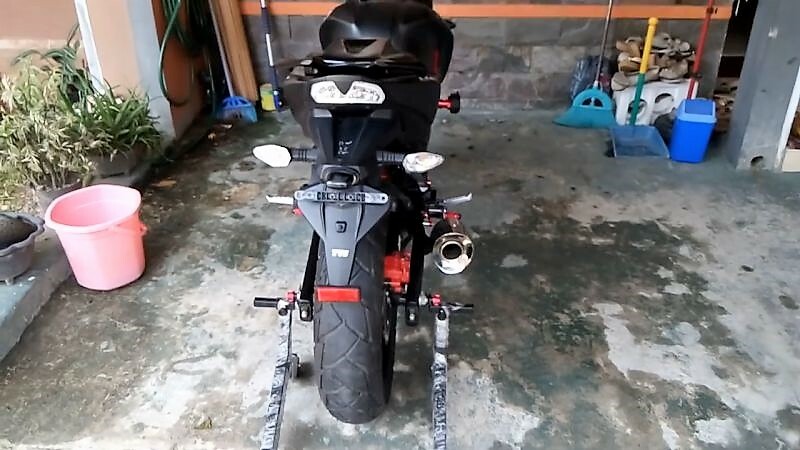 The one on the front will say it’s an R15 while the one at the rear will say its 220F. 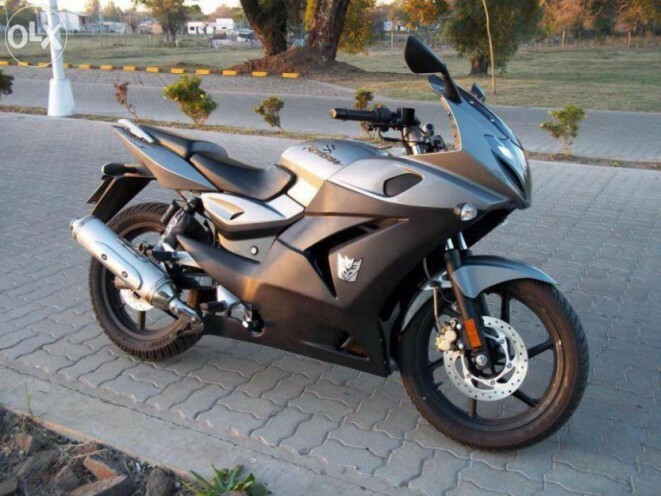 The situation gets difficult for those who view from the side as the motorcycle has the typical Pulsar tank and taillight while the fairing and headlight claims an R15. 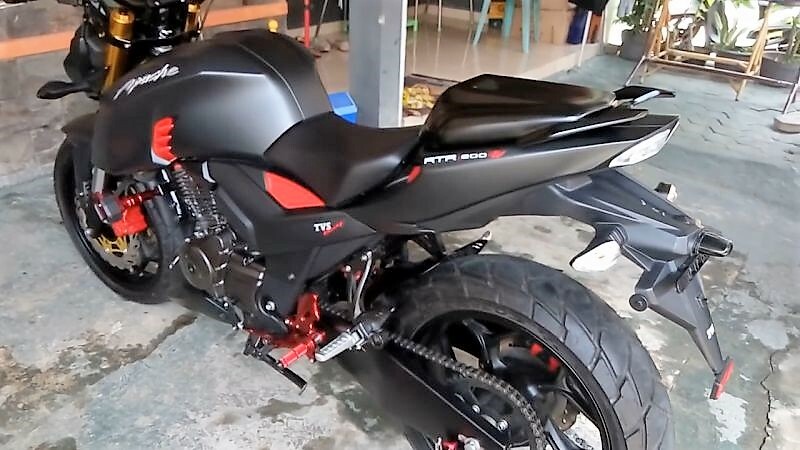 All in all, the black and Red theme has been a good option for this Pulsar. 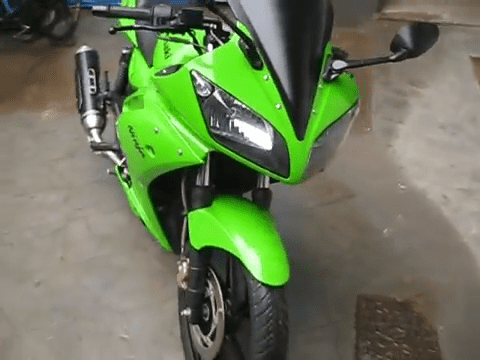 Pulsar 220F here wears the typical Ninja style lime green shade and uses the R15 side fairing and front headlight for a meaner look. 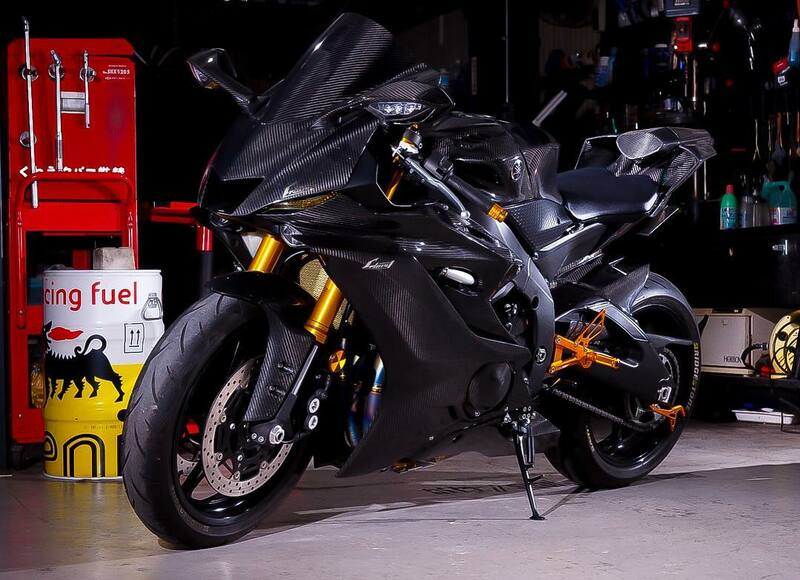 It uses a custom exhaust and clip-on handlebars like the R15. 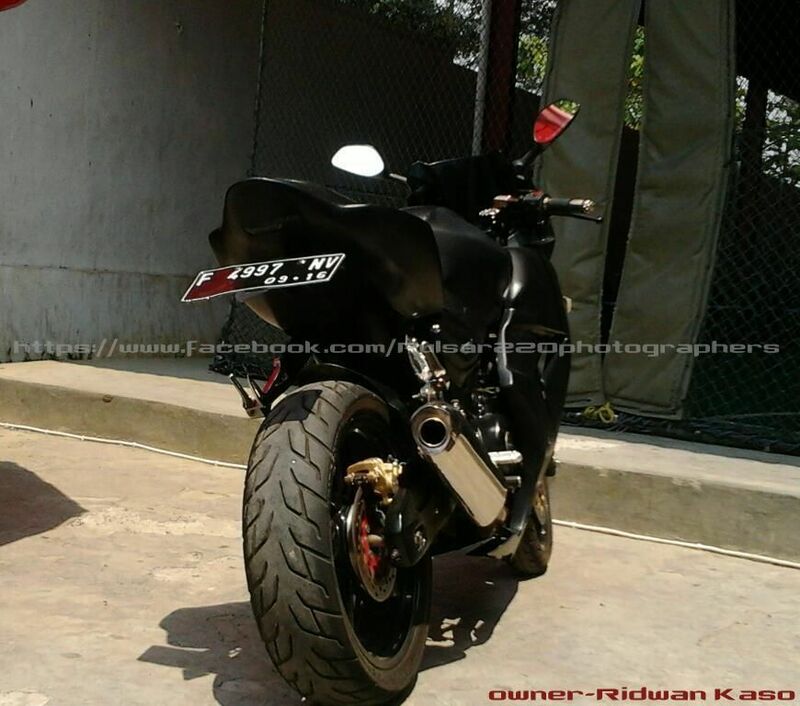 It has been made by KRP and looks really good from every angle. 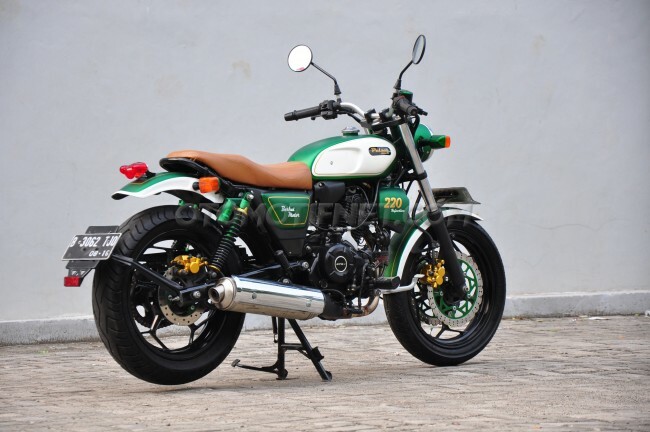 The 220F used here has been given a new body style with a custom fuel tank, brown painted body panels and scrambler design body. The rear uses a mono-shock instead of spring type suspension while the exhaust feels out of this world with its unique design and arrangement. The front headlight resembles the units used on choppers. It has been made by J&D customs. These Pulsars have been modified according to the taste of their individual owners. Some of them merely have custom painted parts while one of them has been completely rebuilt with futuristic looks and equipment. 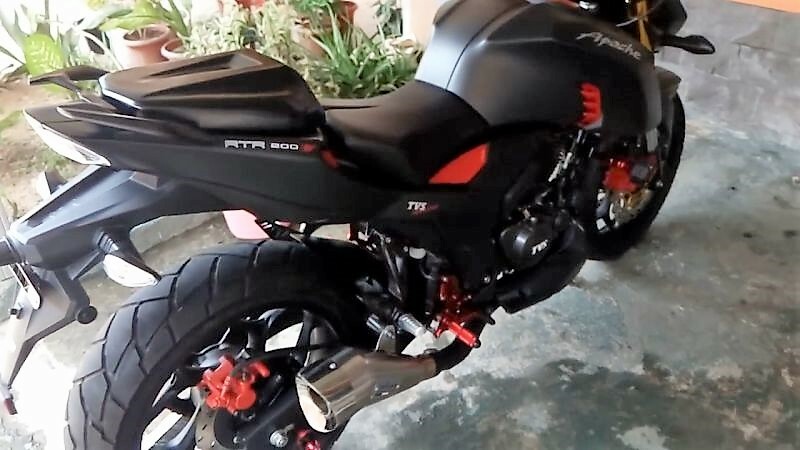 The post This is the Best-Looking Modified Bajaj Pulsar 220 We Have Ever Seen appeared first on Maxabout News. 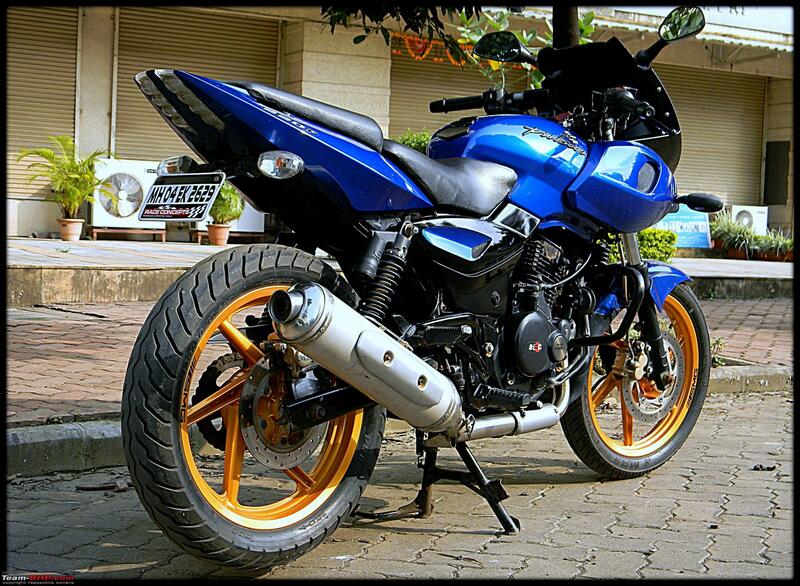 Bajaj Pulsar 220F is the greatest bike of its segment of all time. Just to make this fact more concrete than ever, you would love to know that it still sells almost 1 lakh units every year. This typical Pulsar 220 sports version has been heavily modified to suit the needs of a customer who loves fully faired bikes. It loses the semi-faired body design and gains all-new side fairing with dual tone front fascia and extended front windscreen. Also, the exhaust unit seen here looks more of a superbike segment product. The smaller front disc makes way for two front disc brakes. The rear under-seat panel is now sharper than ever while fuel tank carries dual tone Red and carbon fibre finish. 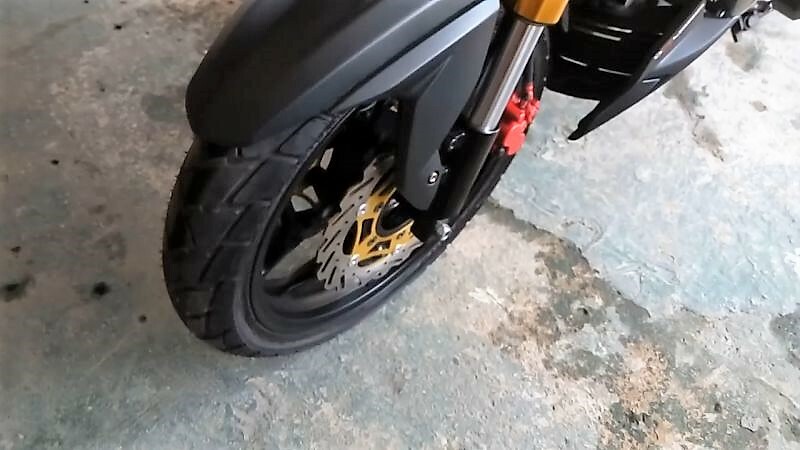 Front and rear tyres used here are wider than stock one from Bajaj Auto. 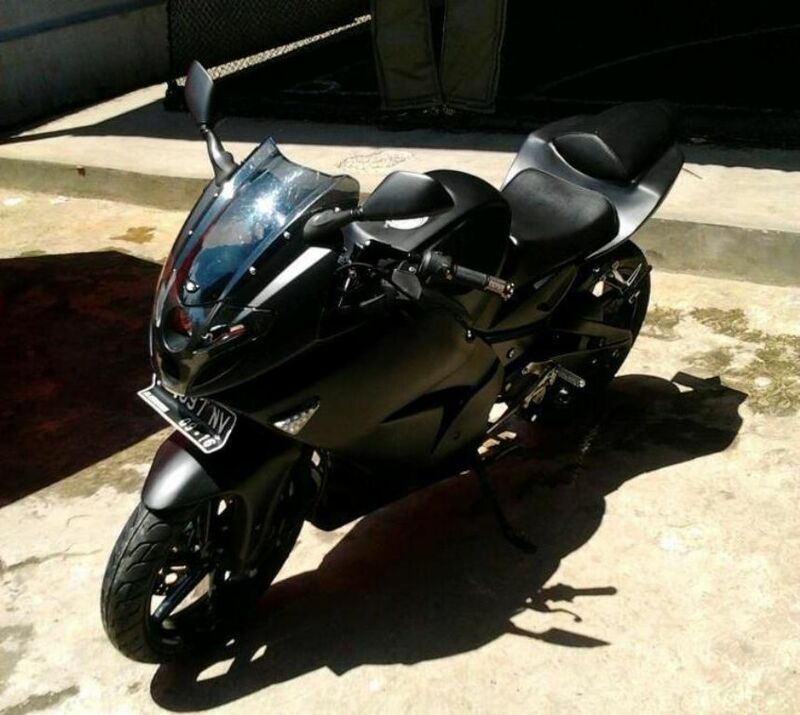 Pulsar 220F is powered by a 220cc, single cylinder engine producing 20.64 BHP at 8500 rpm and 18.55 Nm at 7000 rpm. The engine comes mated to a 5-speed gearbox. 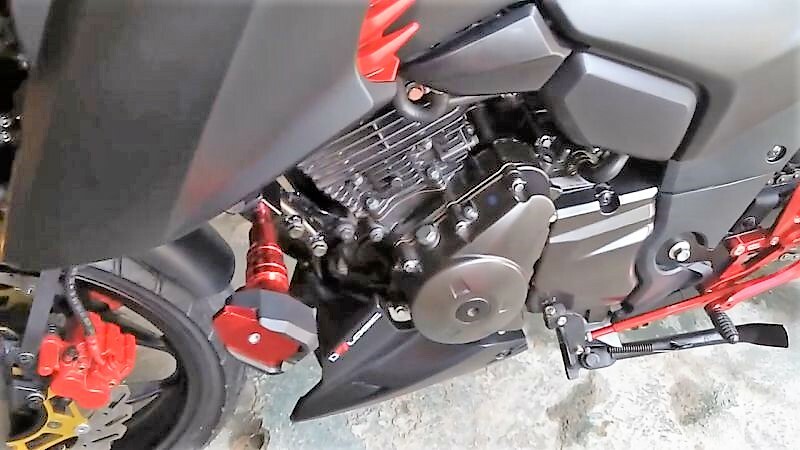 Bajaj retails the Pulsar 220F for around INR 1.05 lakh (ex-showroom) and it comes in a single variant with dual disc brakes and single-channel ABS (front) as standard. 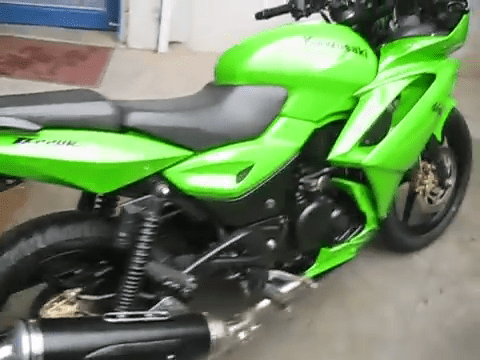 The post Meet Bajaj Pulsar NS200 with Dual Underseat Exhausts appeared first on Maxabout News. 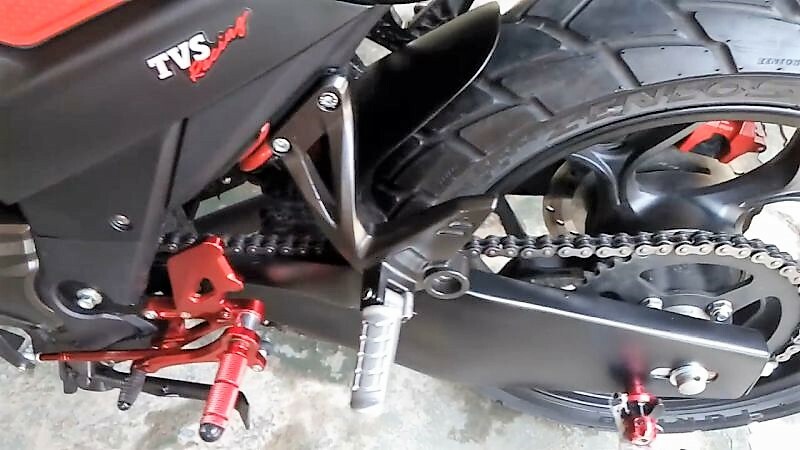 Bajaj Pulsar NS200 again proves its potential through this typical street performance upgrade on the motorcycle. Keeping most of the body parts intact, the owner has fitted the Blue/Black NS200 with a custom twin under-seat exhaust system. Not just that, the rear now houses a massive tyre, fitted successfully on the same alloy wheel as the stock motorcycle. 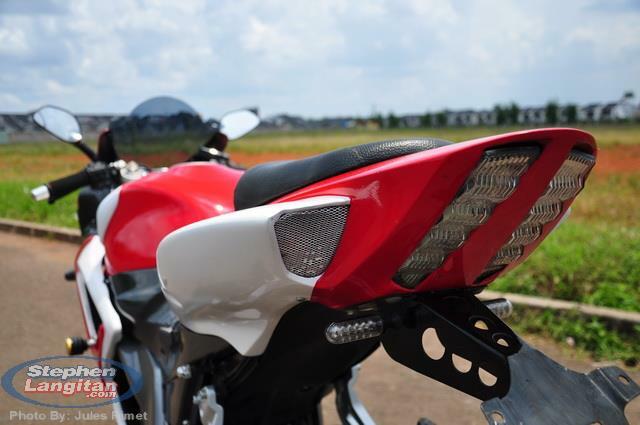 When seen from the rear, the typical Bajaj taillights may indicate that it is a Pulsar whereas the dual outlet looks completely mean and attractive at first sight. 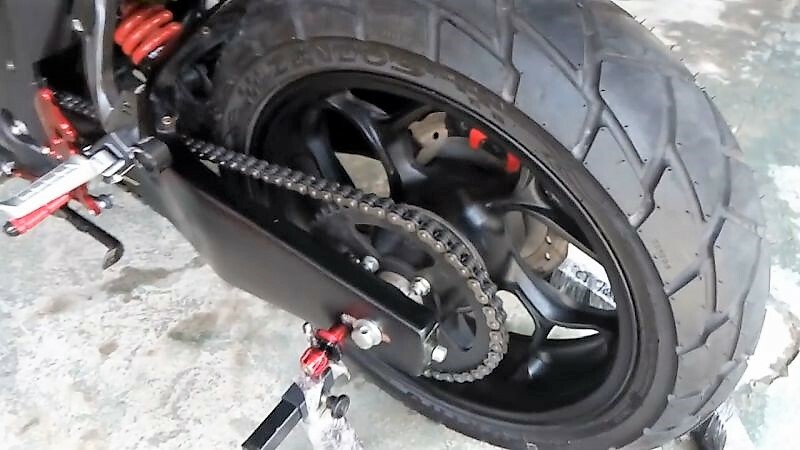 The extra wide tyre seems to be fitted within a custom swing-arm. 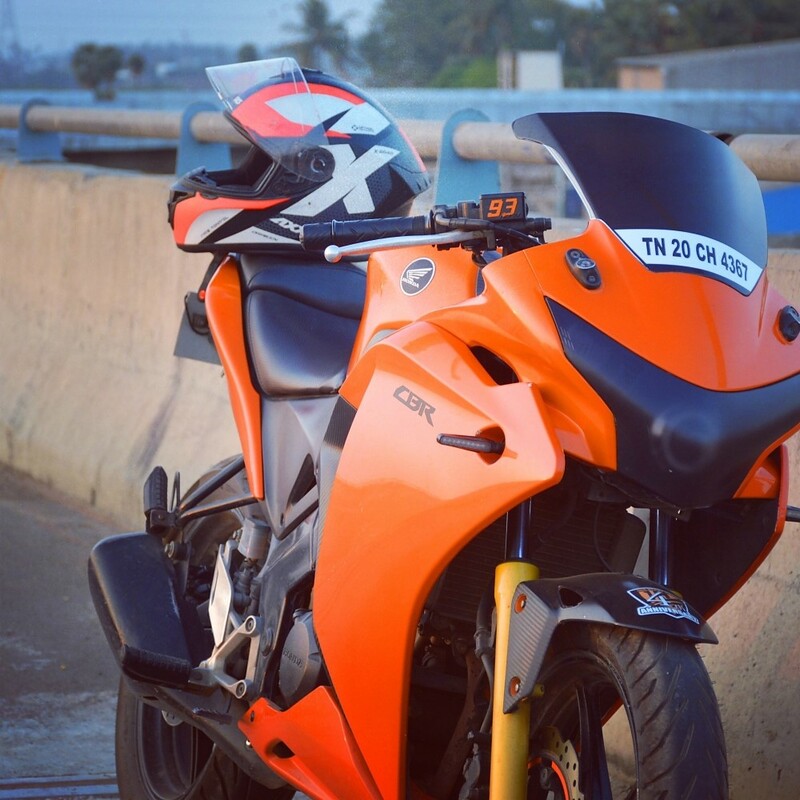 This Pulsar NS200 has been made by HTRZ Modz, a specialist in custom racing exhaust systems and motorcycle modifications. Based in Palakkad District, Kerala, HTRZ believes that your vehicle is like an important body part to you and it may need special attention, looking more or less like your very own personality. They have even worked on other projects where the riders have fitted their machines with useful custom accessories and race spec body parts. 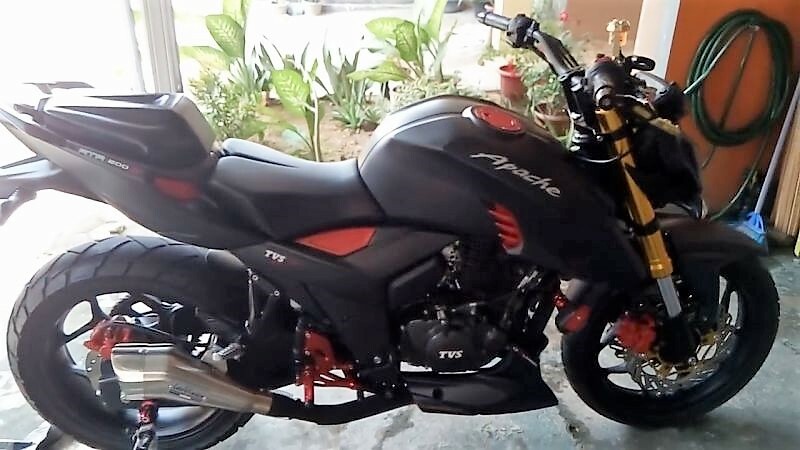 A Stock Bajaj Pulsar NS200 is good for 23.17 BHP and 18.3 Nm of torque from its 199.5cc, liquid cooled and carburettor fed single cylinder engine. NS200 comes with a price tag of INR 1 lakh for its base and INR 1.12 lakh for the single channel ABS variant. 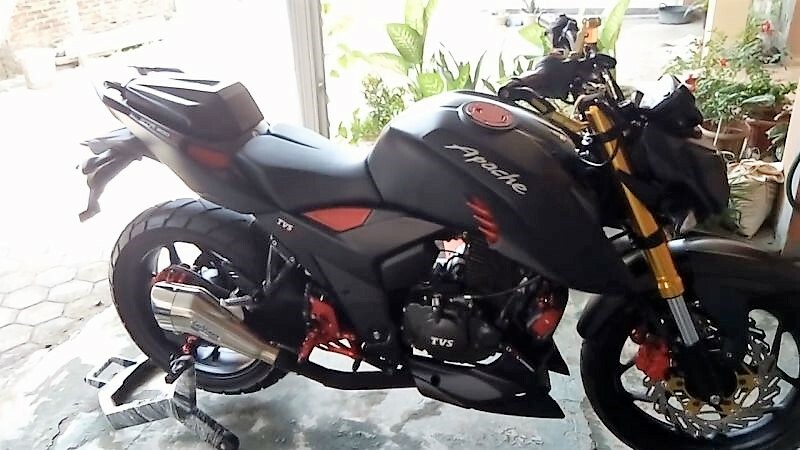 TVS Apache RTR 200 is the closest possible rival to Pulsar NS200 in India. 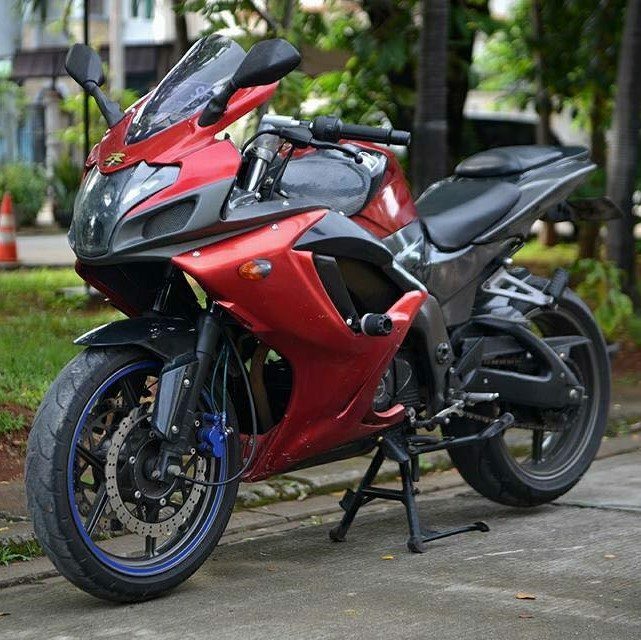 Buyers are mostly seen confused between the two as they perform equally well in almost every riding condition. Address: Shornur, bypass road, Palakkad District, Kerala, India. 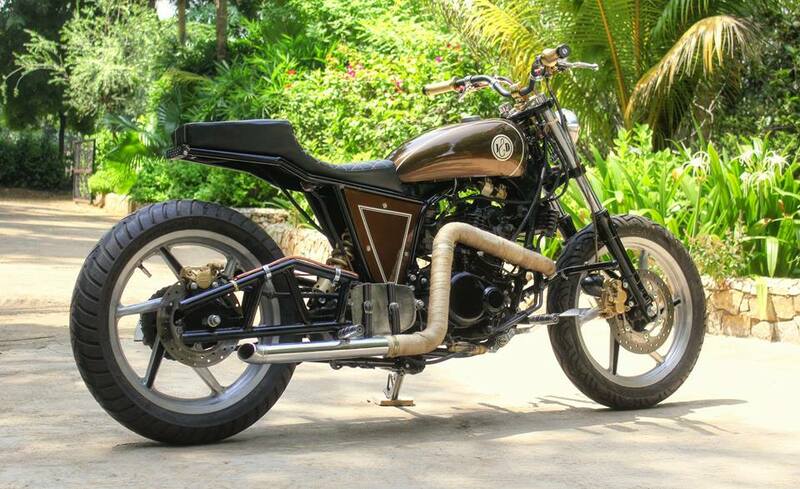 The post Meet Modified Yamaha RX100 Gunmetal Grey Edition appeared first on Maxabout News. 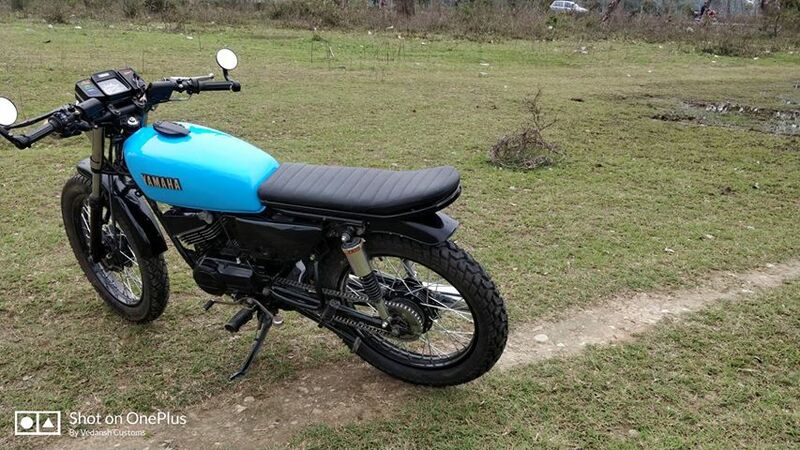 RX100 can be still seen running around the town with its unique exhaust note. 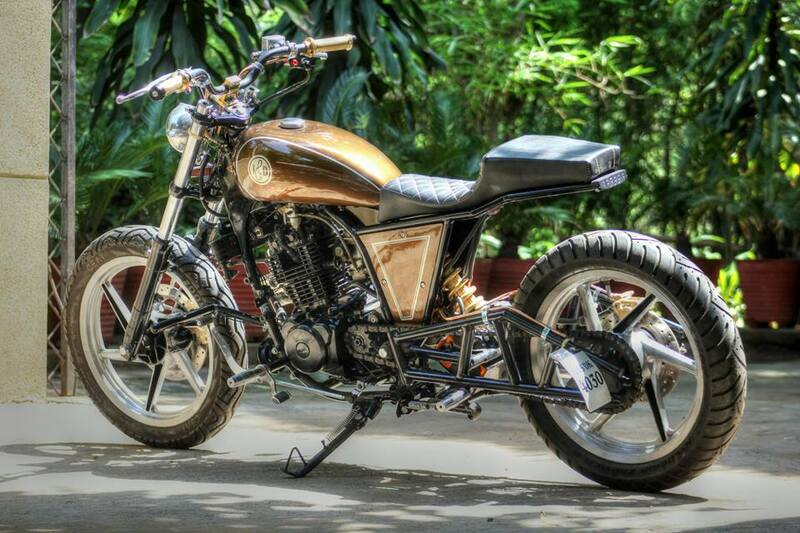 The immense popularity attached with this bike forced Yamaha to bring RX moniker to its youngest Saluto variant. As it was a different motorcycle than the original RX, sales never witnessed any special surge. Royal Enfield Classic 350 Gunmetal became popular in just a few days of its arrival and this typical RX100 Gunmetal Grey Edition seen here takes skin inspiration from the highest selling 350cc bike of India. 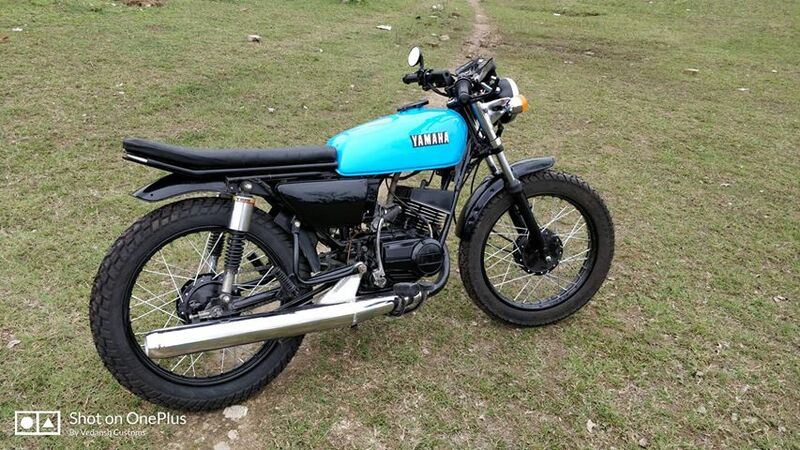 The motorcycle you see here comes with a completely restored body and certain aftermarket additions for added practicality and head-turning first look appeal. 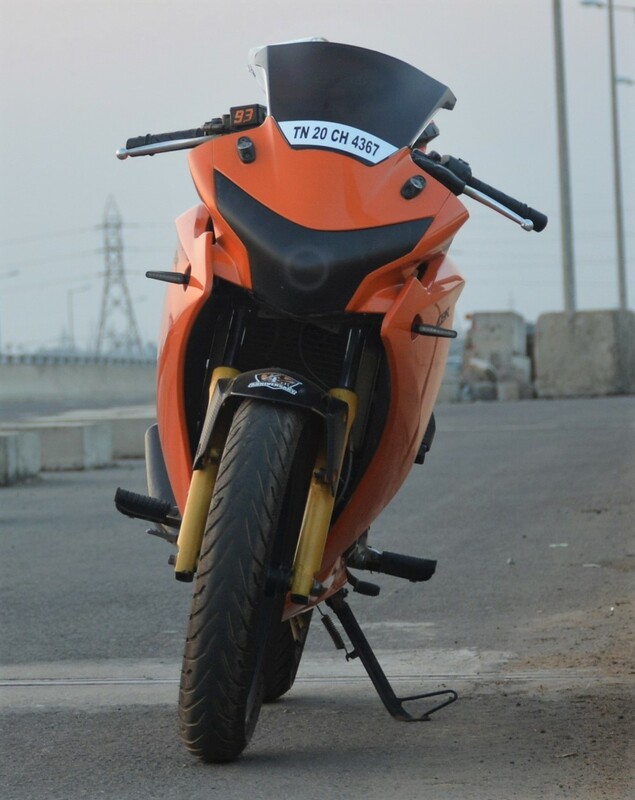 According to the modifier, the approximate cost of this modification is INR 55,000 (excluding the donor bike). It has been modified by ‘Durga Spray Painting Works’ for a client in Khammam, Telangana. 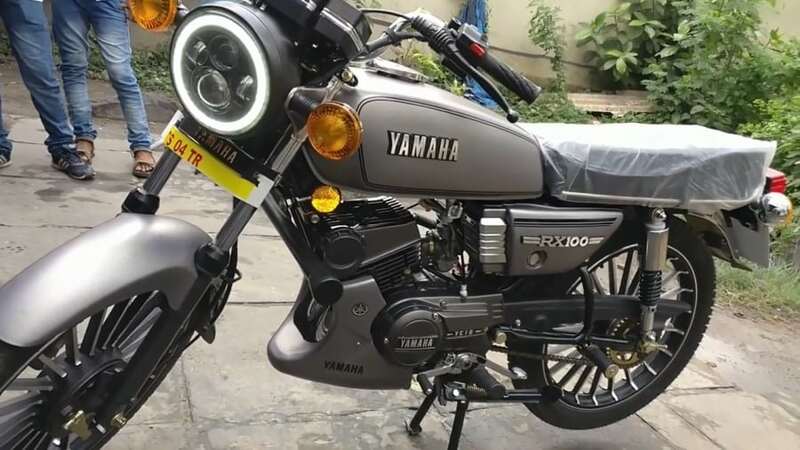 This RX100 comes with dual projector headlight supporting round headlight, multiple spoke chrome and black alloy wheels and impressive belly pan with a raised design for impressive looks. 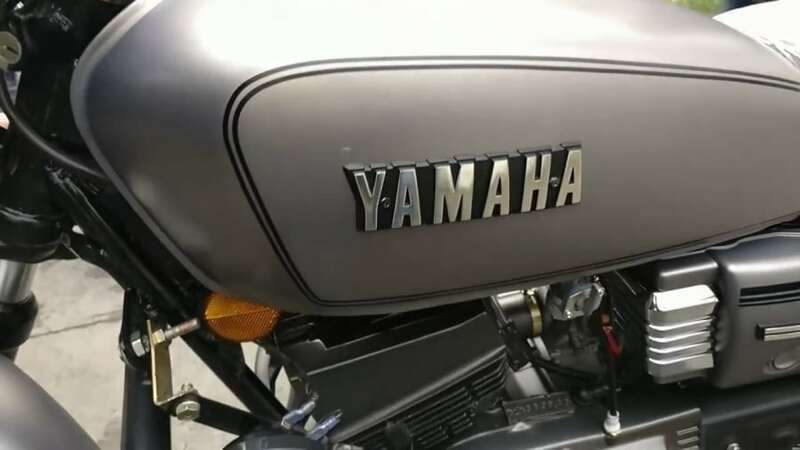 The fuel tank flaunts Gunmetal Grey with black pinstripes and Yamaha branding while side panels carry RX100 branding over the same shade. 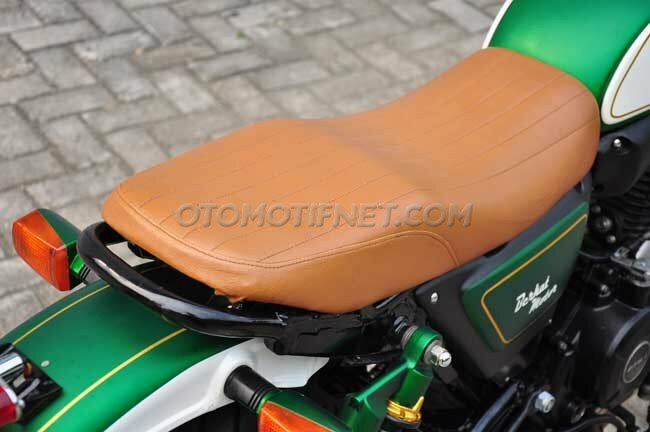 An all-new seat with perfect space for two riders has been installed on the motorcycle. Most moving parts of the engine were retained from the original bike and no disc brake was added to keep originality intact. 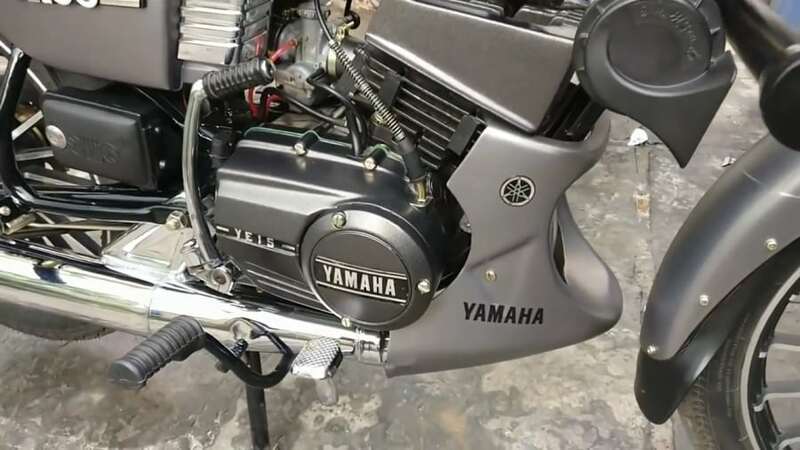 Yamaha RX100 is powered by a 98cc, single cylinder, two-stroke engine producing 11 BHP at 7500 rpm and 10.4 Nm at 6500 rpm. This amount of power is expected from 125cc bikes of the present era but those also weight almost 20 kg over the wet weight of Yamaha RX100. 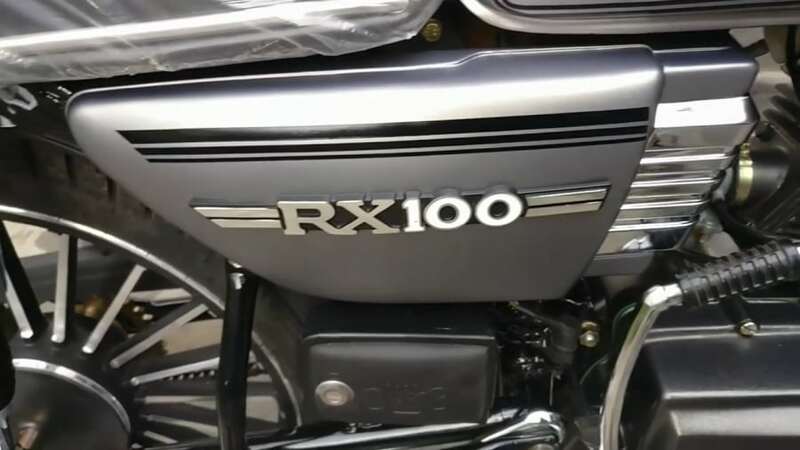 That makes the power to weight ratio of RX100 comparable to performance spec 150cc bikes of India. 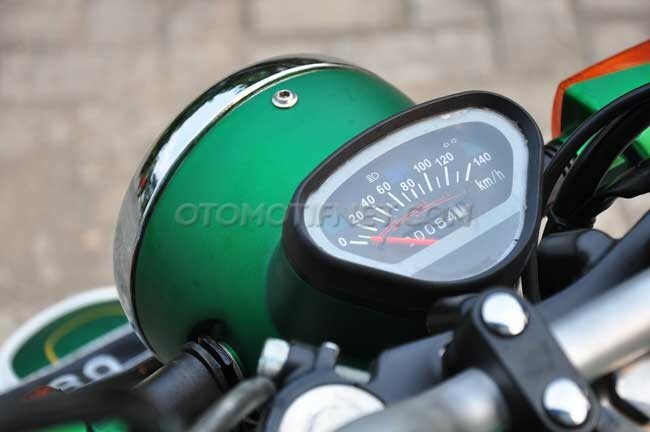 The top speed gets limited to 100 kmph due to lower overall output. This typical version here also gets Gunmetal Grey shade in the engine section. 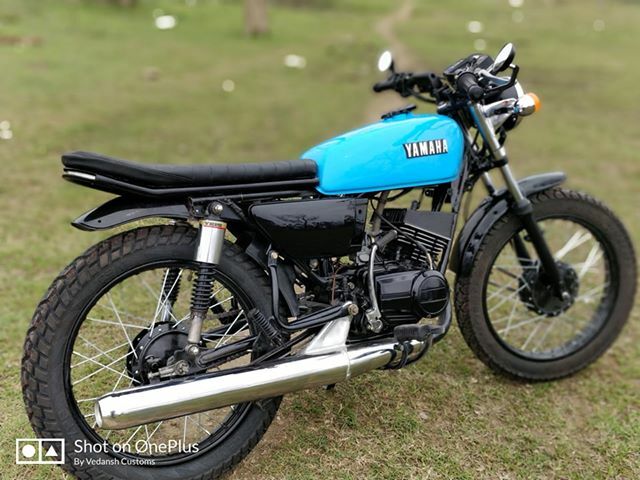 The motorcycle was built during 1985-1996, coming to a sudden end with the government bringing strict emission laws banning two-stroke bike sales in India. 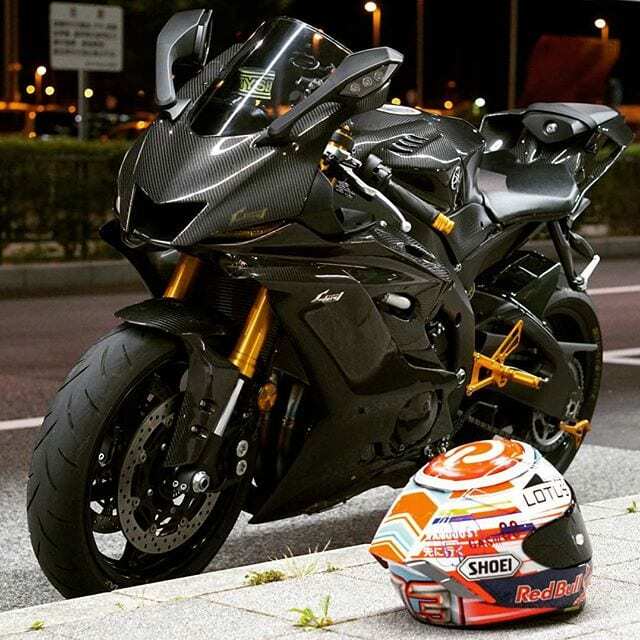 The post Meet Perfectly Modified Yamaha R6 Carbon Edition appeared first on Maxabout News. 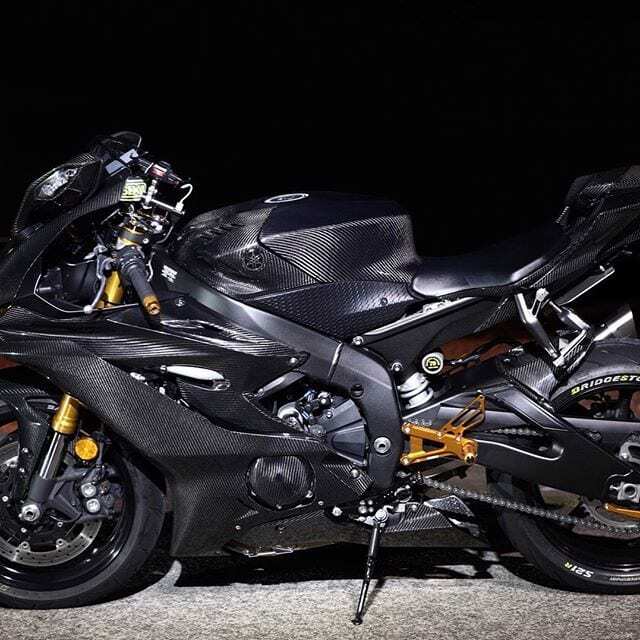 Yamaha R6 Carbon is an exclusively modified version of the motorcycle with additions like Akrapovic titanium exhaust and Carbon-themed body wrap. 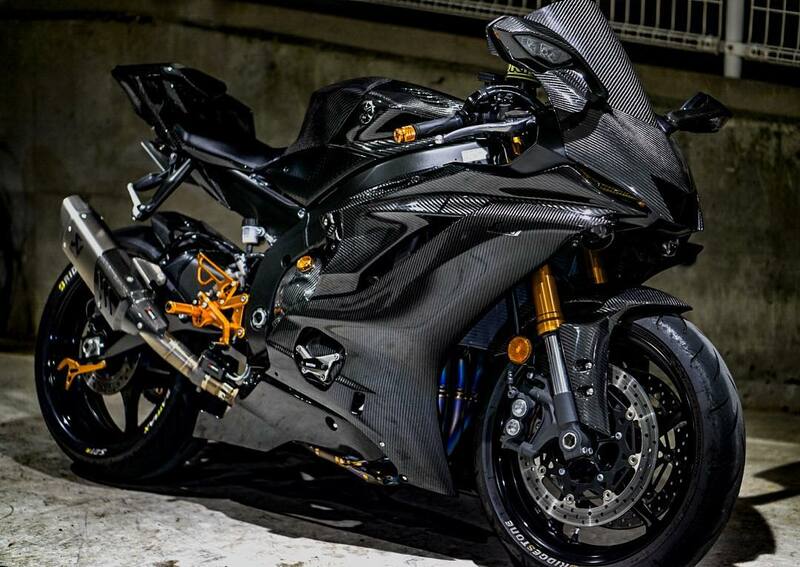 The overall appeal is so intense that superbike fans cannot hold their eyes away from the motorcycle for a long time. The rear section comes without the fender and thus, the number plate has moved to the lower side of the frame. 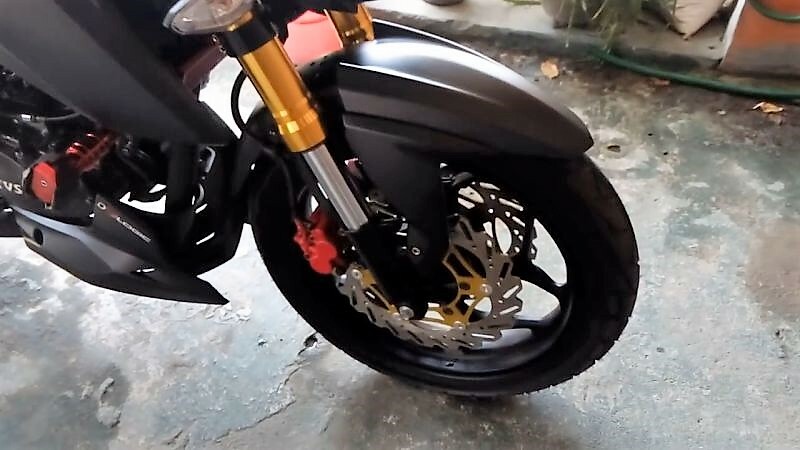 The motorcycle is seen with Bridgestone Battlax tires and golden-finished rider footpeg section. 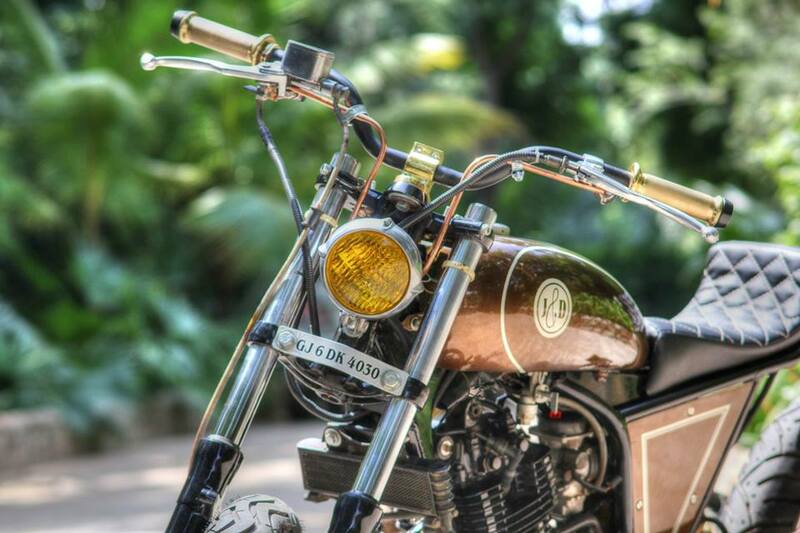 The Deltabox frame with its iconic weld in the middle is visible on the motorcycle. The front golden forks complement the additions in the most gentle manner. 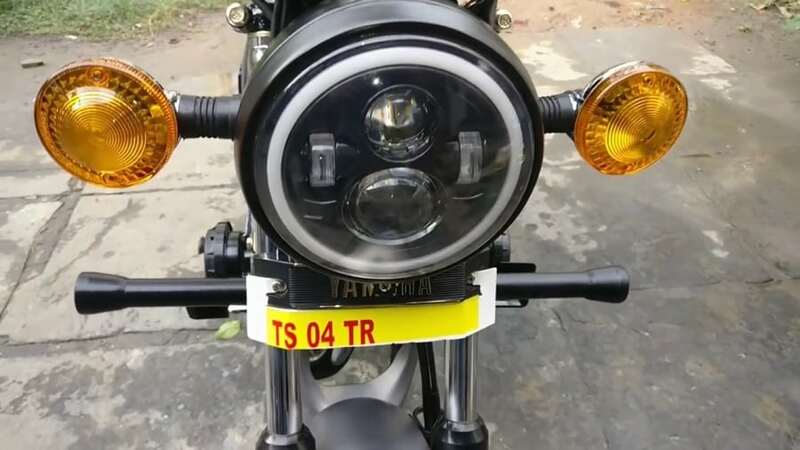 The salient features like turn mirror-mounted indicators and two projector headlights of the R6 are further highlighted with this theme. 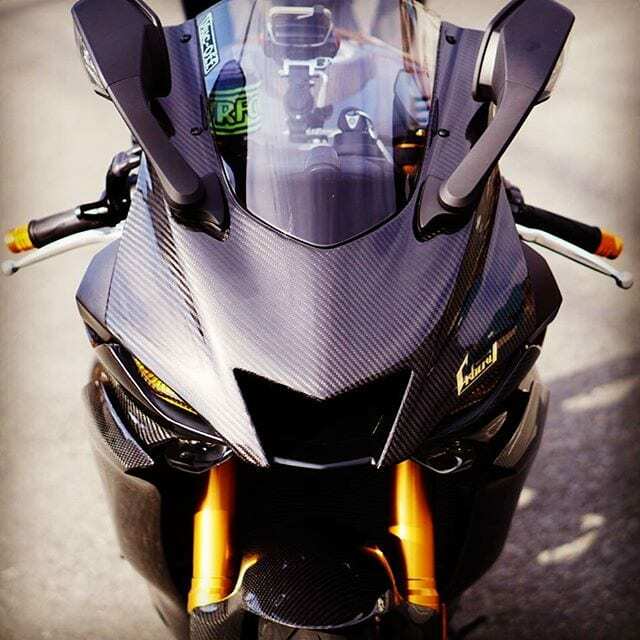 Yamaha R6 Carbon is based on the current generation model and flaunts four independent exhaust pipes with pride through the small open section around the centre. However, the fins on the fuel tank are not-so-prominent through the carbon wrap. 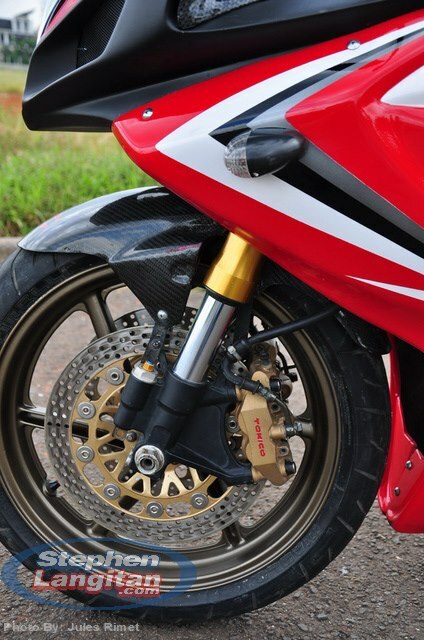 The front and rear suspension stay stock on the motorcycle while the same can be said for the braking also. The front visor was also wrapped with the same theme, reducing the practical tucking capability of the R6. Yamaha is using a powerful 599cc, four-cylinder engine on the motorcycle, producing 118.4 HP at 14,500 rpm and 61.7 Nm at 10,500 rpm. The engine comes mated to a 6-speed gearbox. 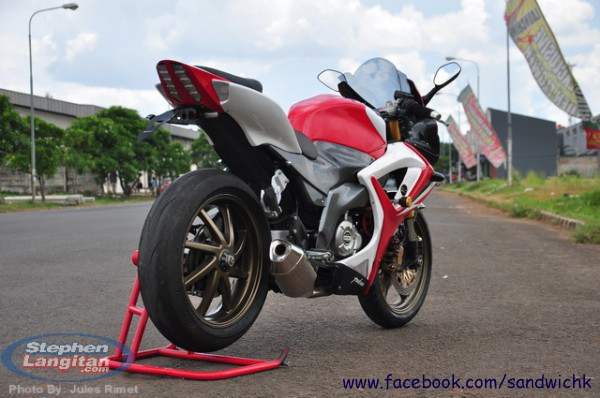 The claimed top speed in the stock form is 262 kph while wet weight tips the scale at 190 kg. 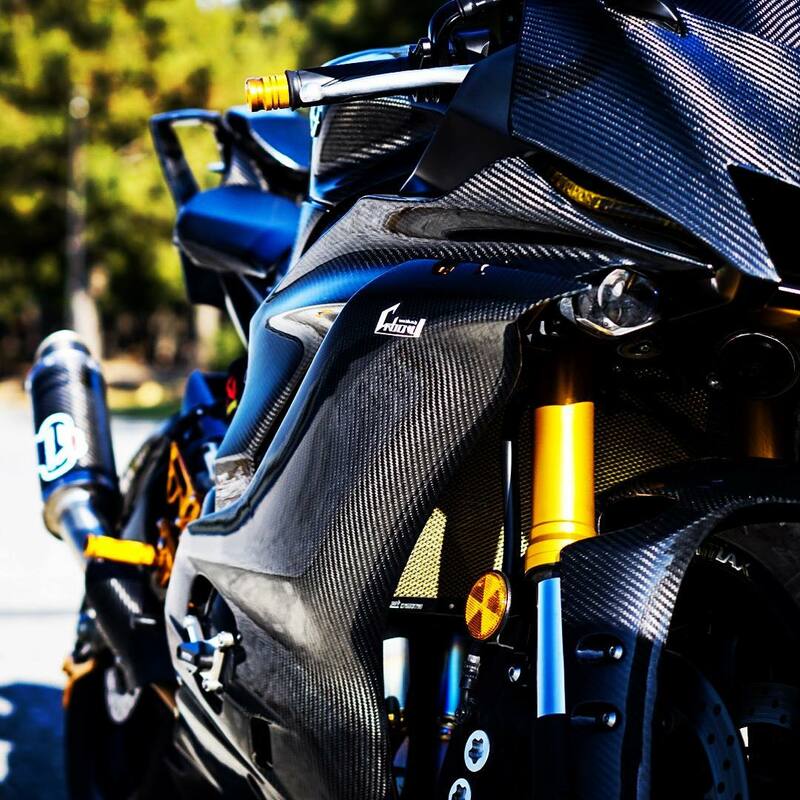 The Yamaha R6 Carbon would definitely be lighter than the stock version as the complete exhaust system has been replaced with titanium Akrapovic unit on the motorcycle. 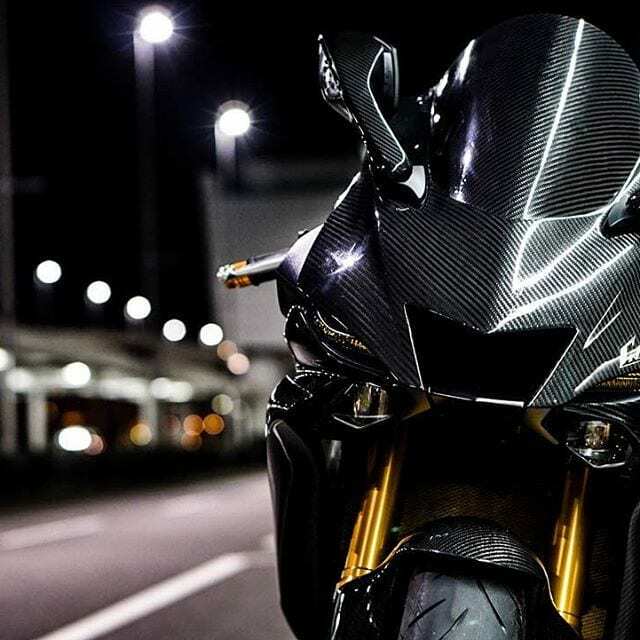 The cost of this update is unknown at the moment while Yamaha R6’s official launch in India is still under question. However, the arrival of ZX-6R has improved the scope for sure.